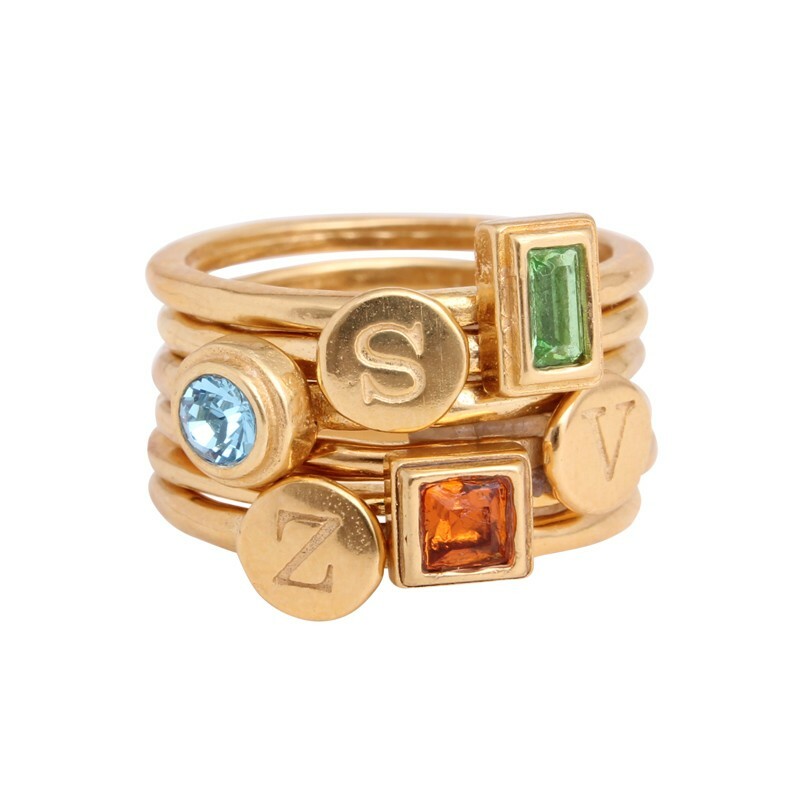 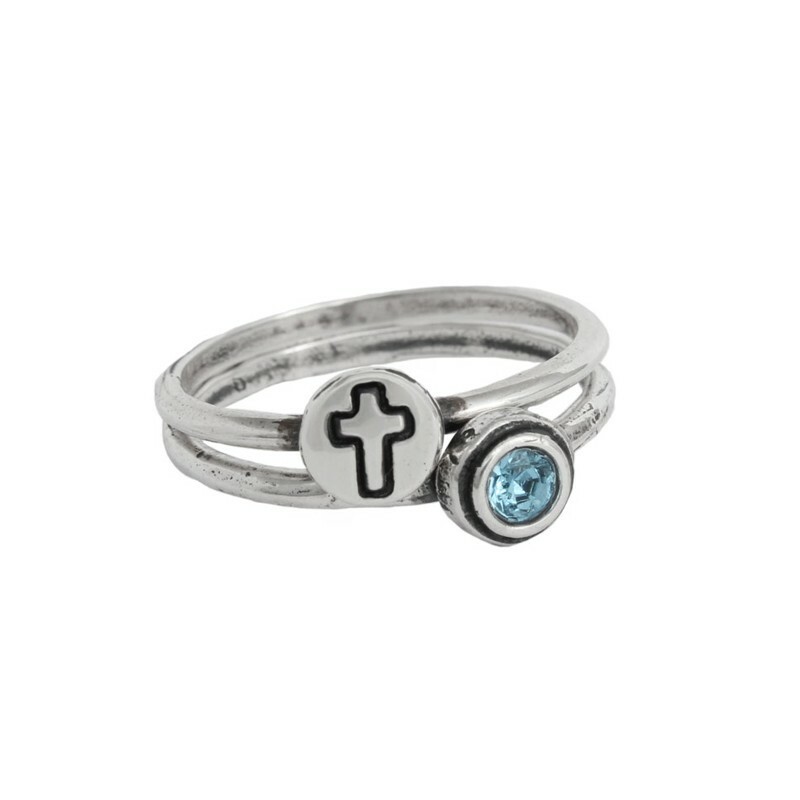 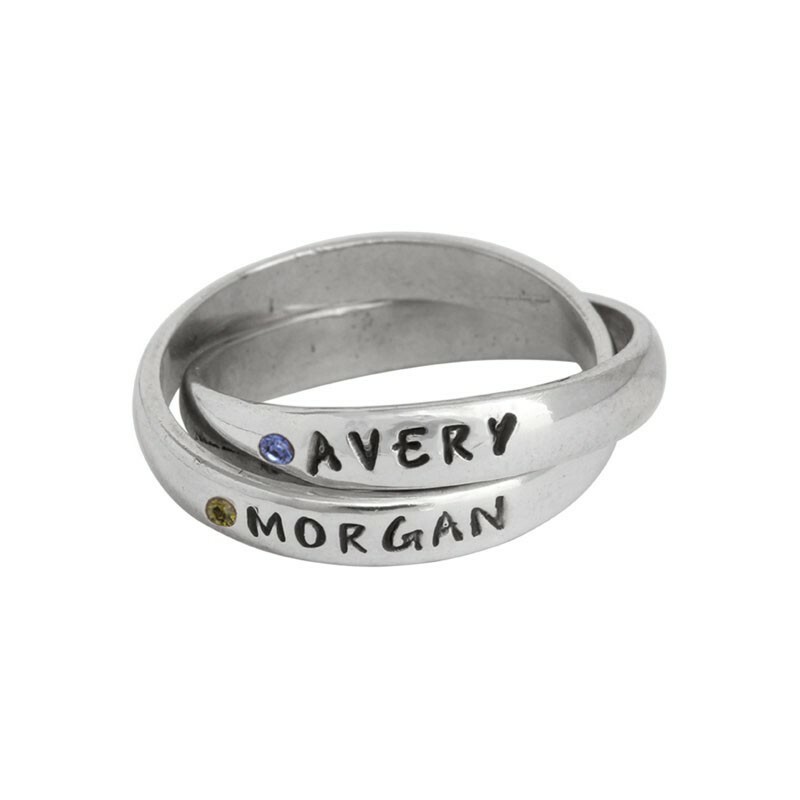 We've made your search for the perfect customized gift easier by separating our ring categories by type. 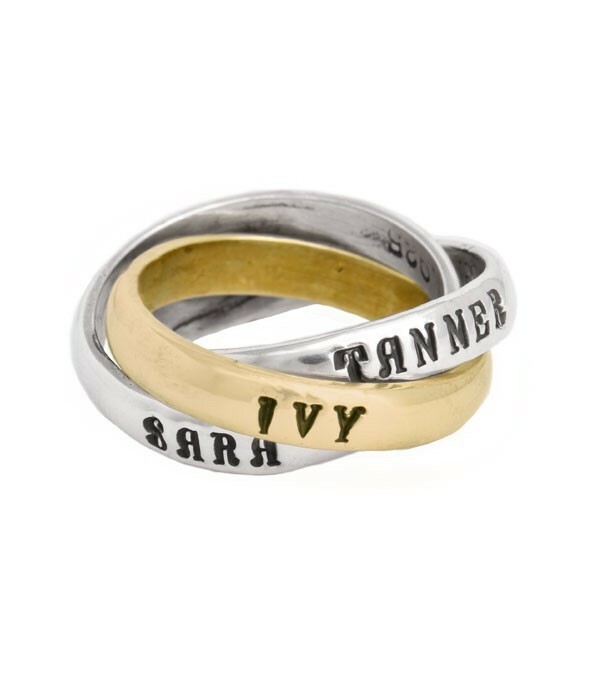 Some of our most popular styles include our personalized name rings, birthstone rings, stacking rings, and our gold and diamond rings. 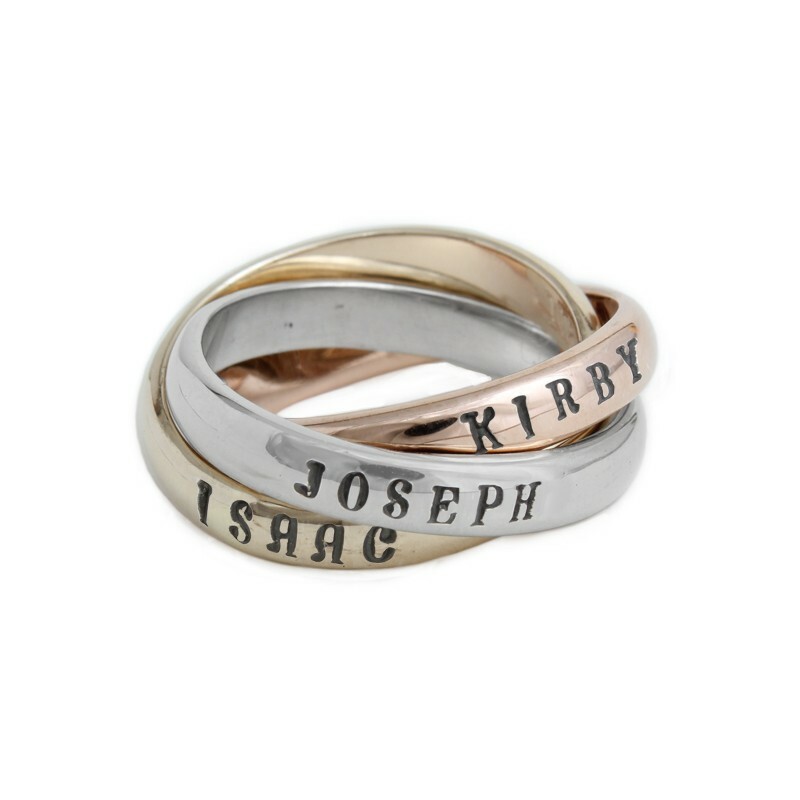 Whichever you choose, it is sure to be a cherished gift for years to come! 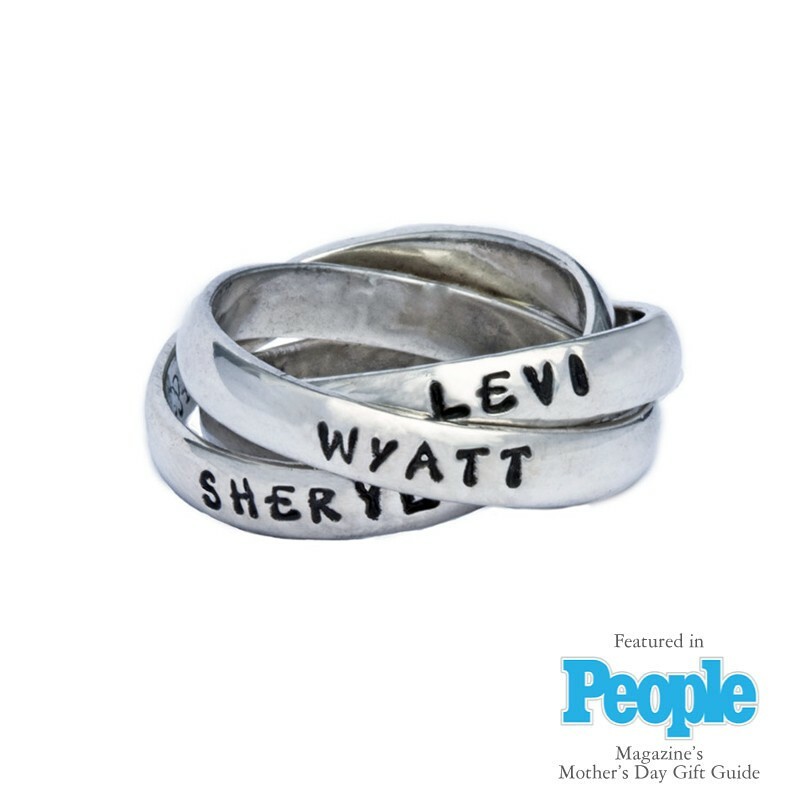 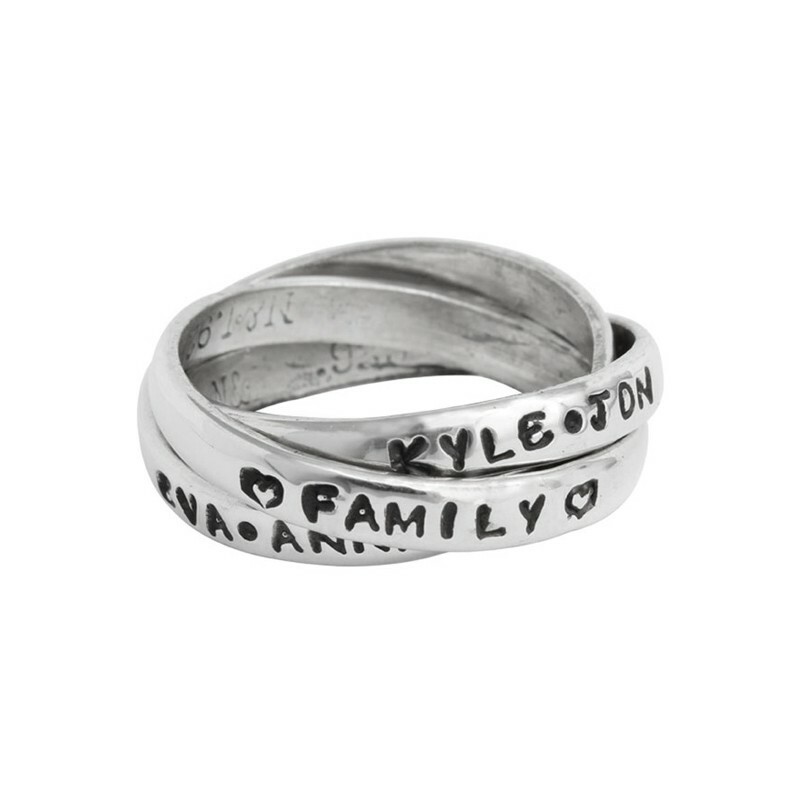 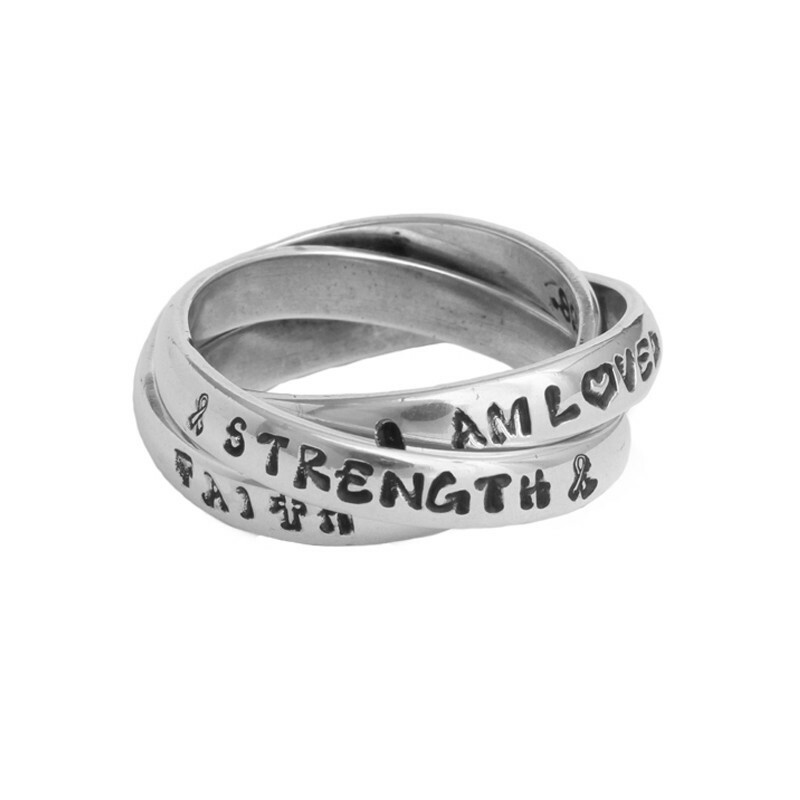 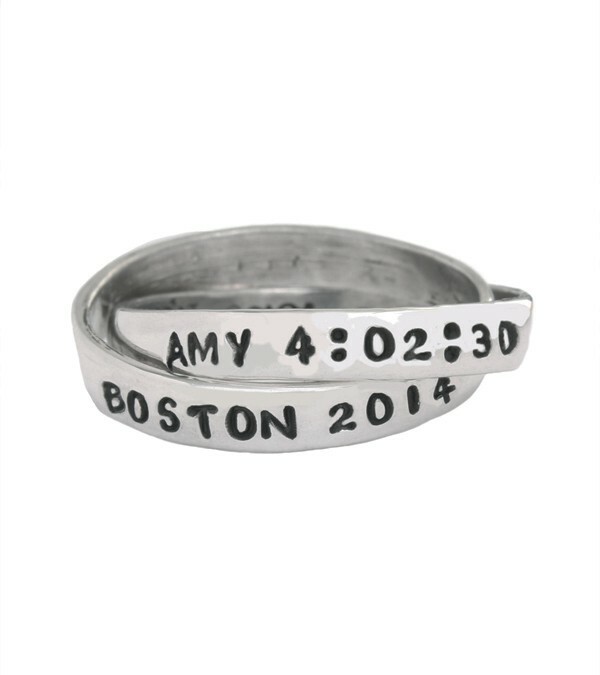 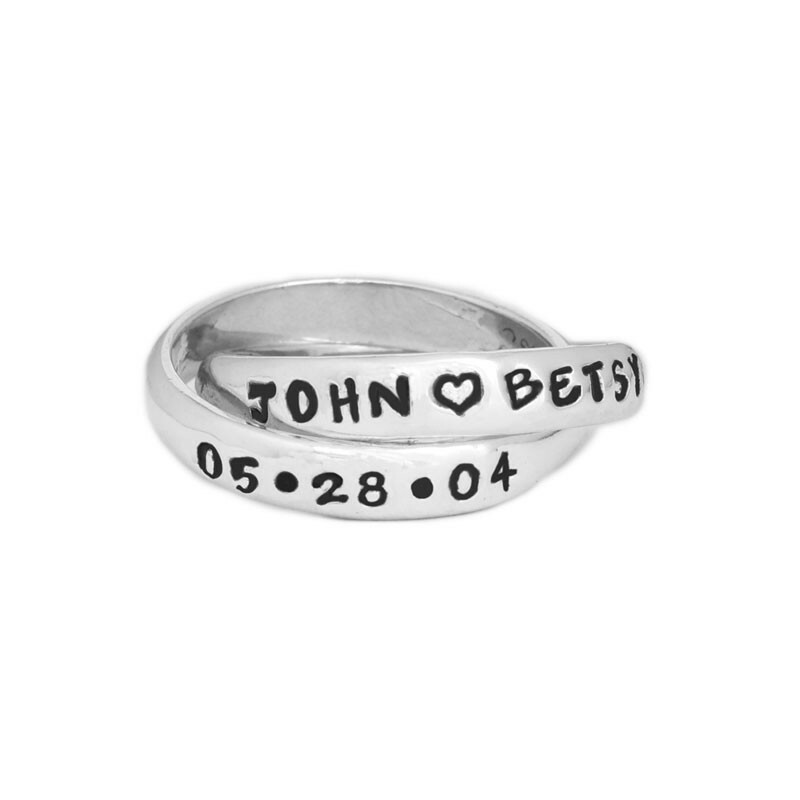 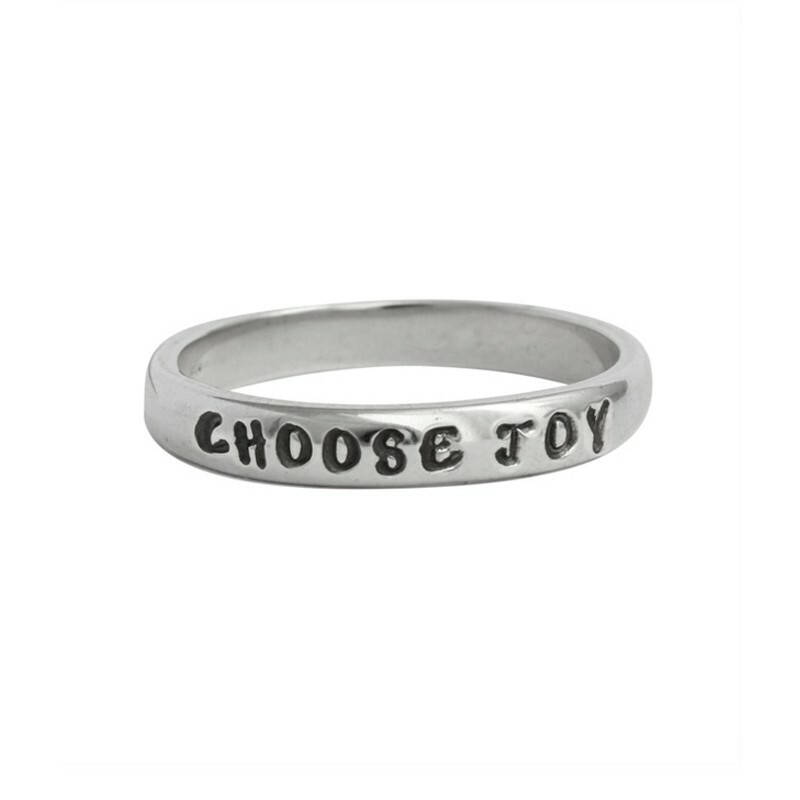 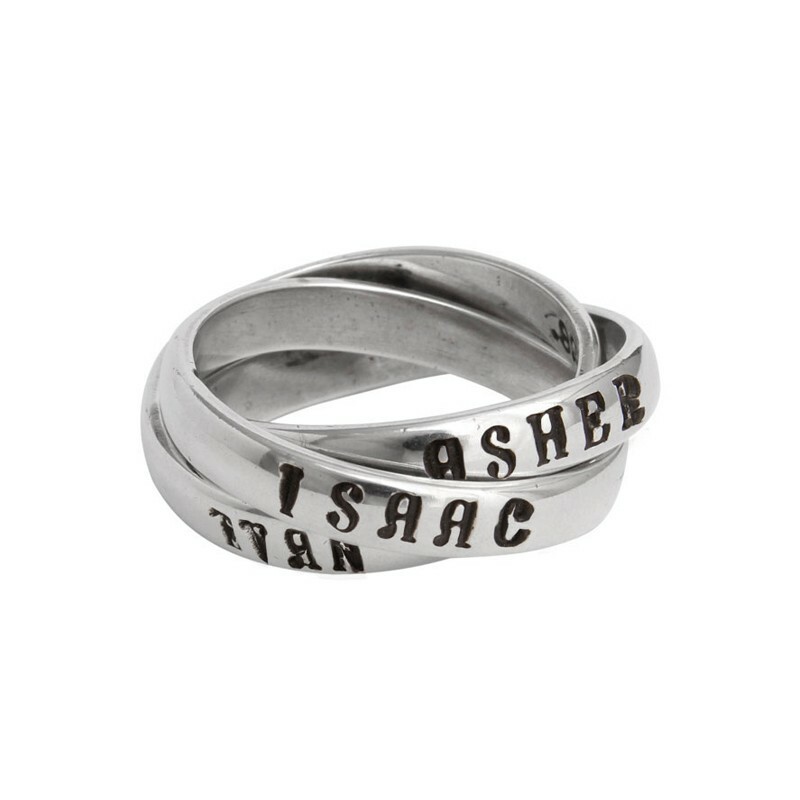 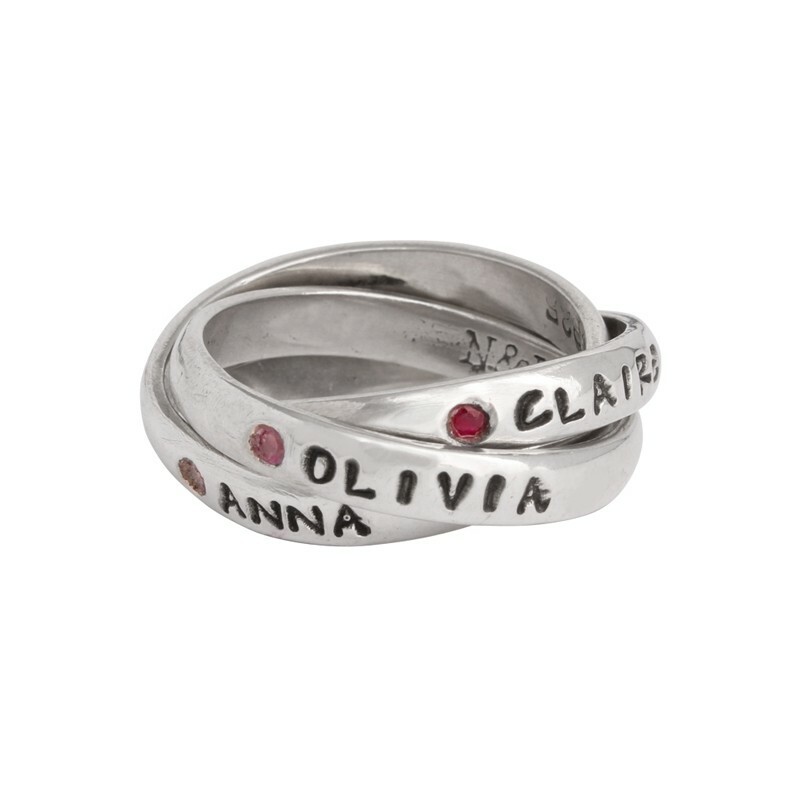 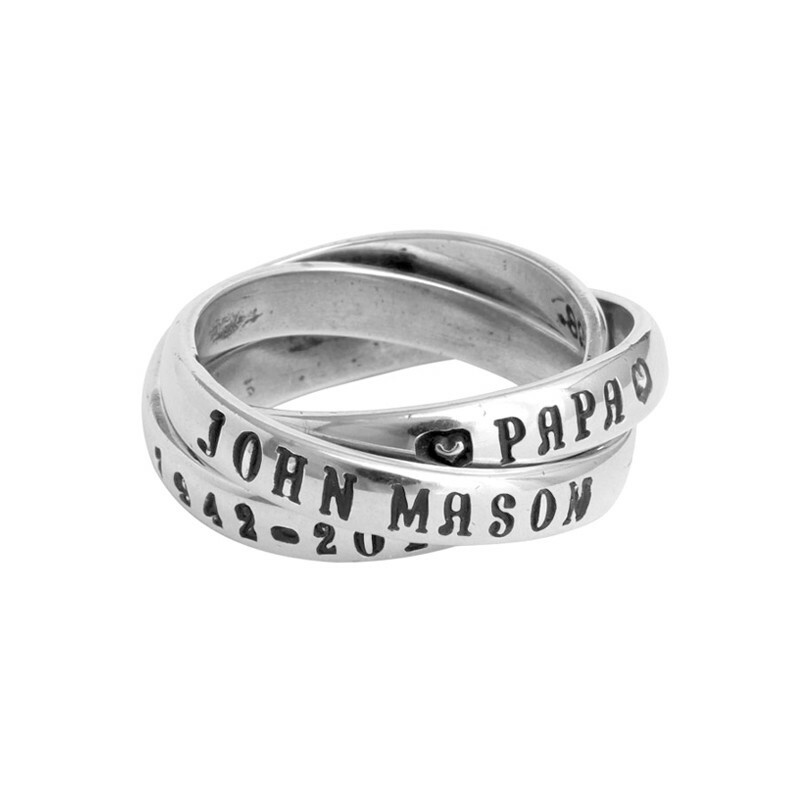 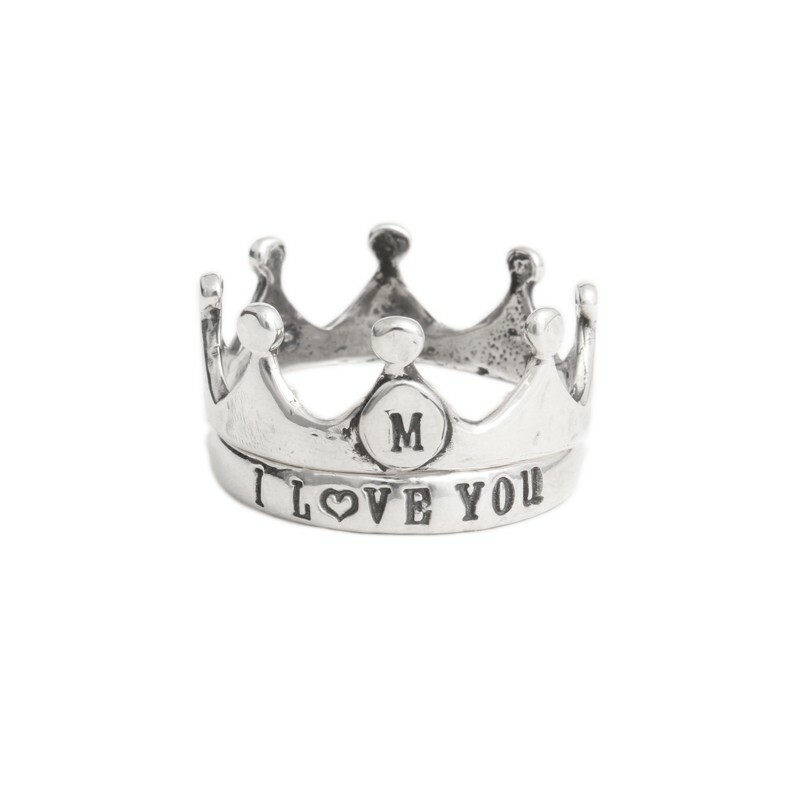 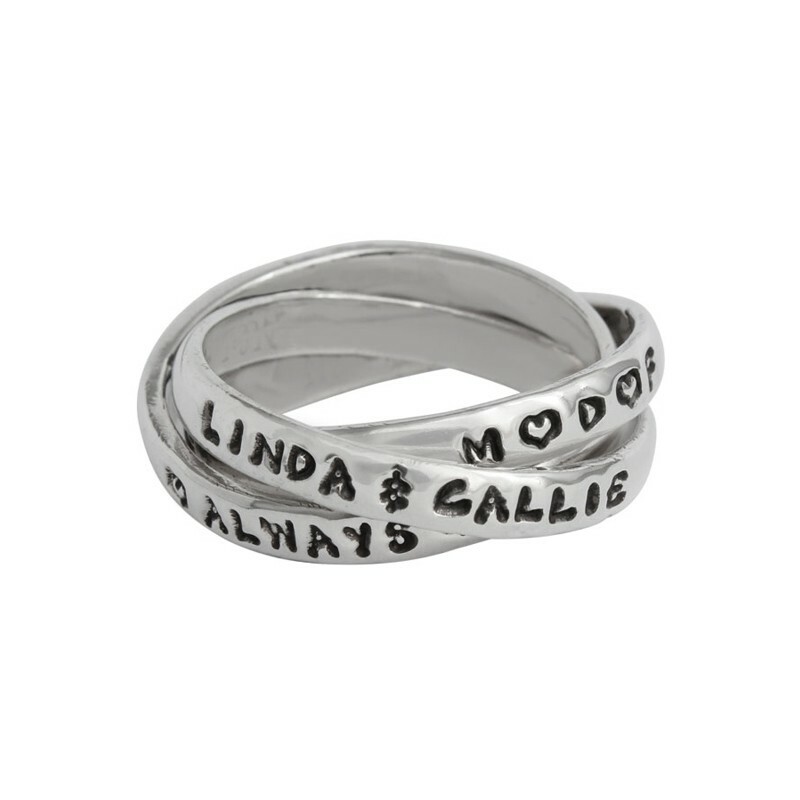 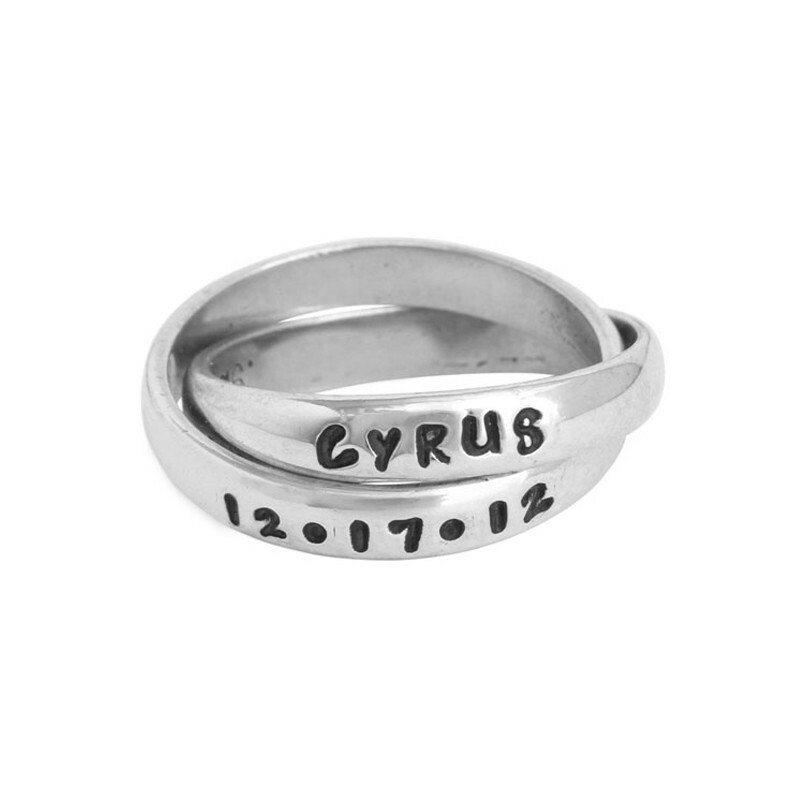 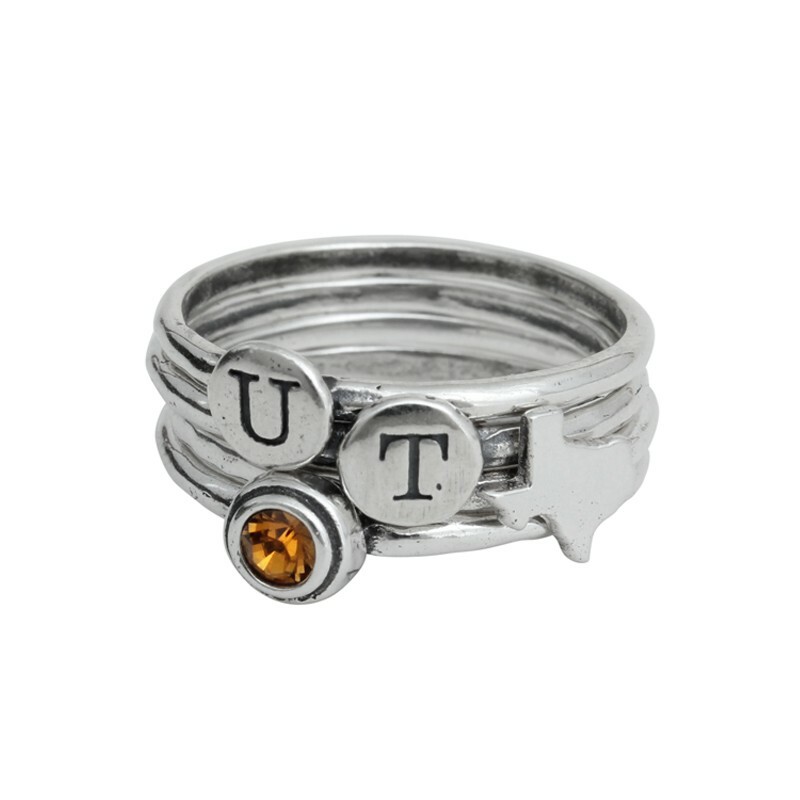 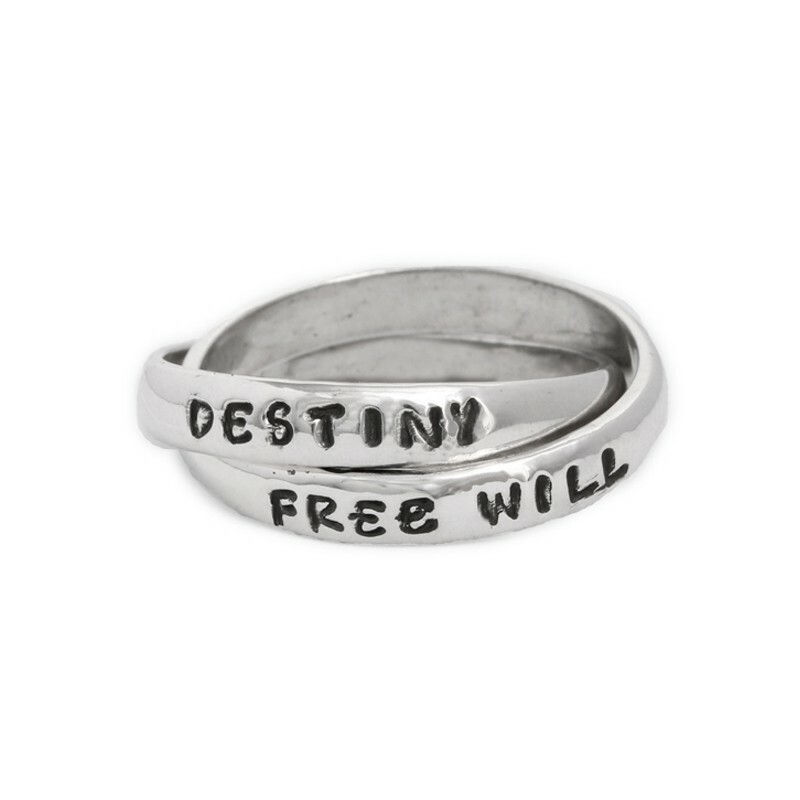 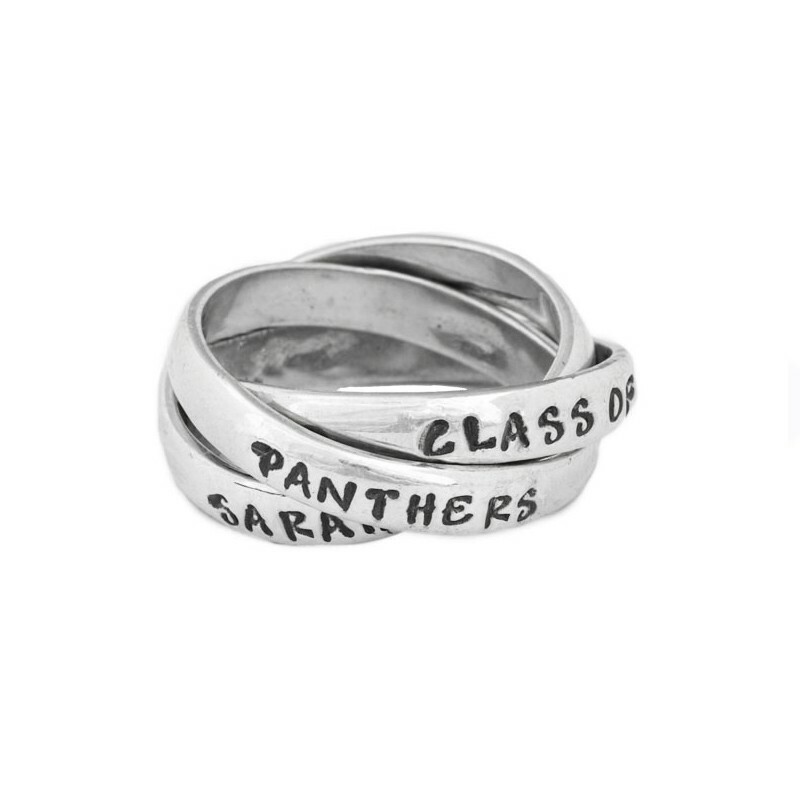 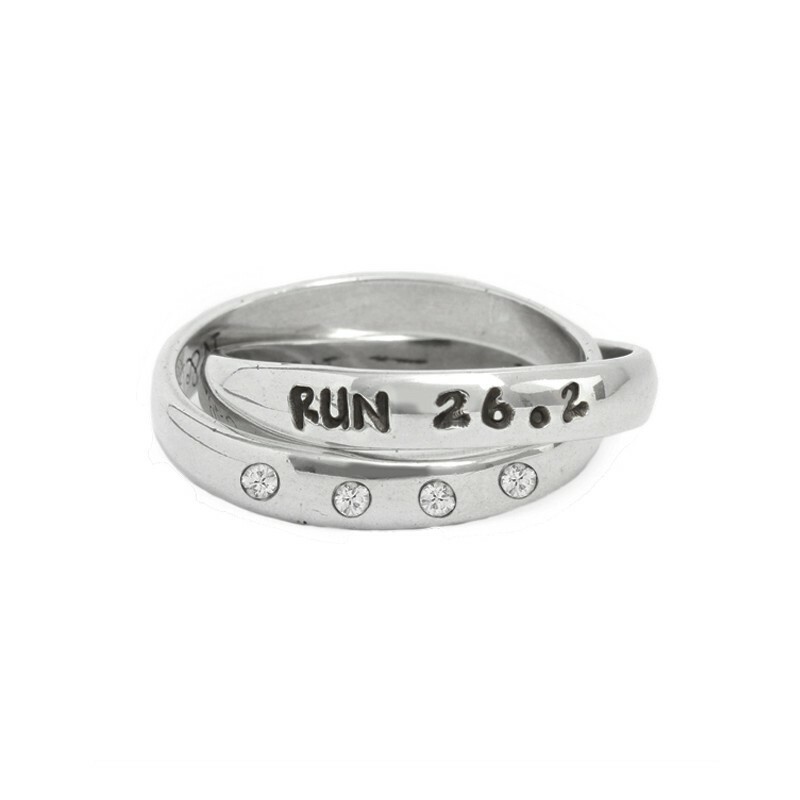 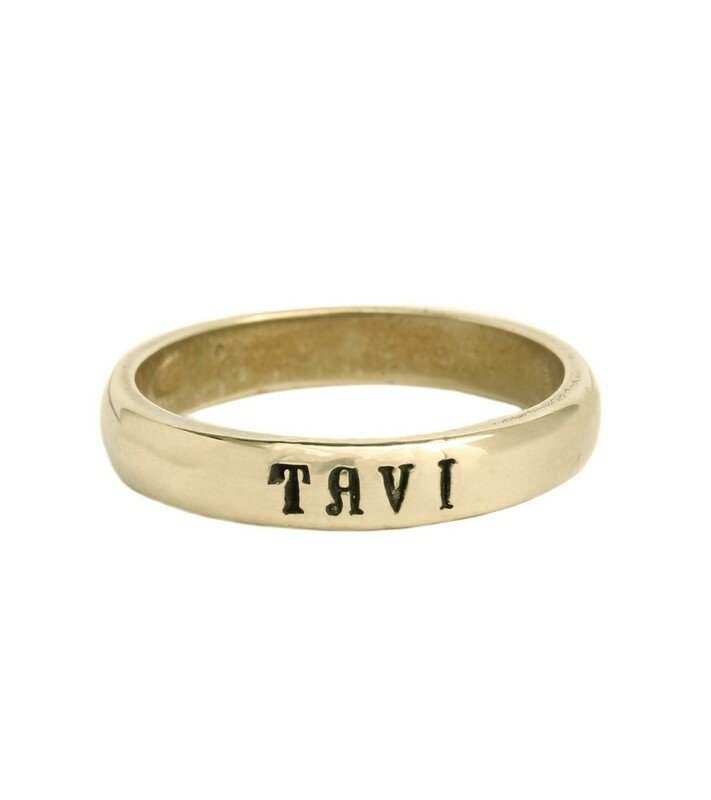 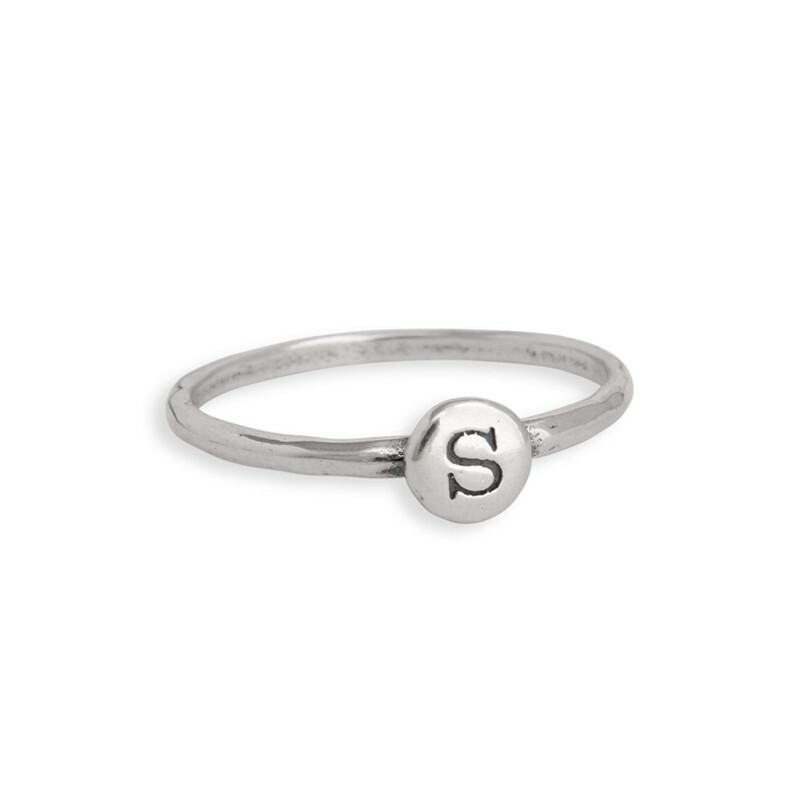 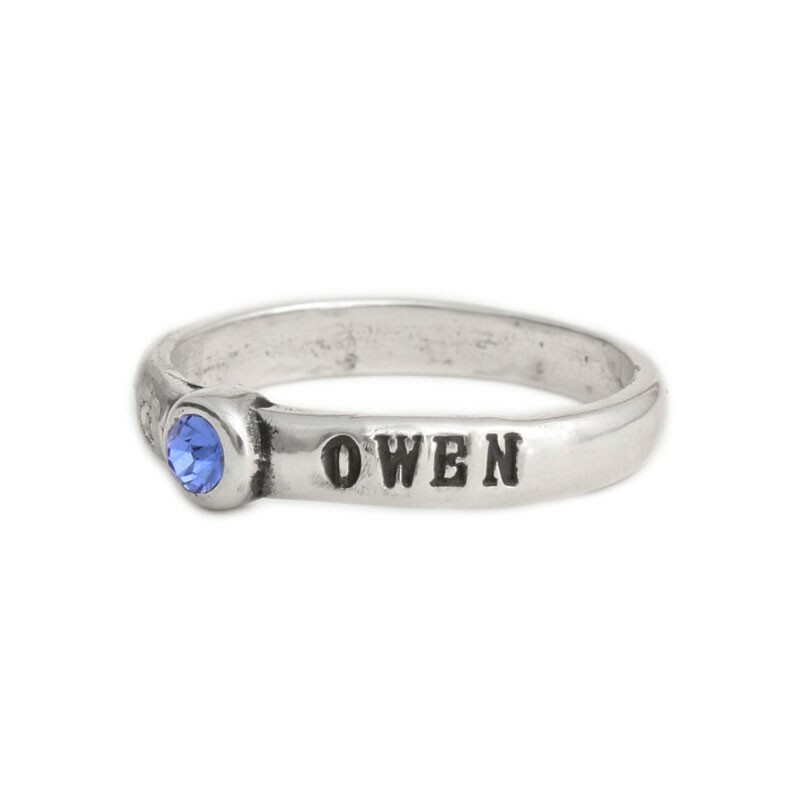 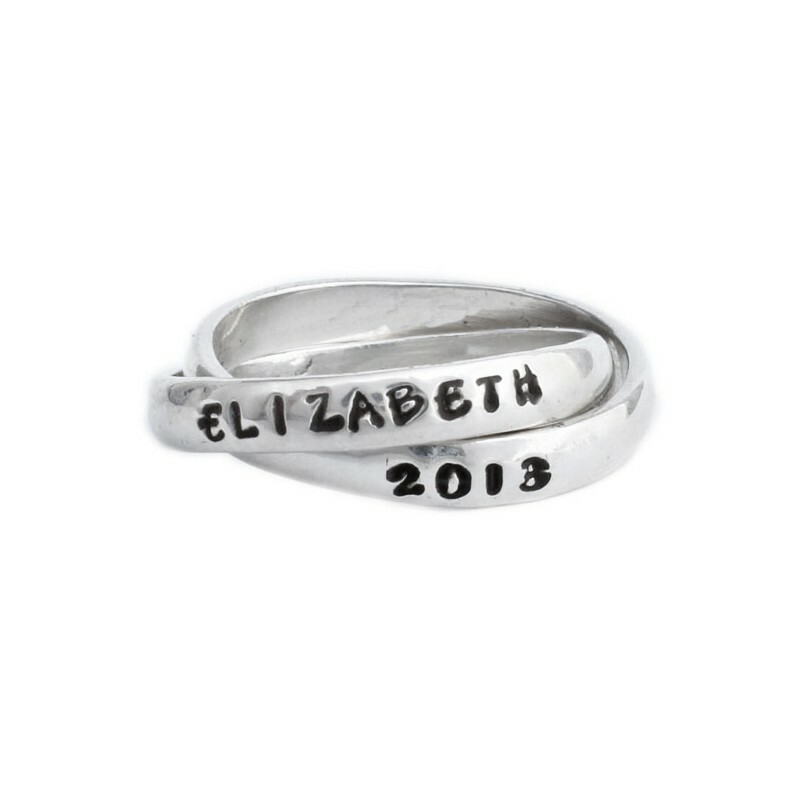 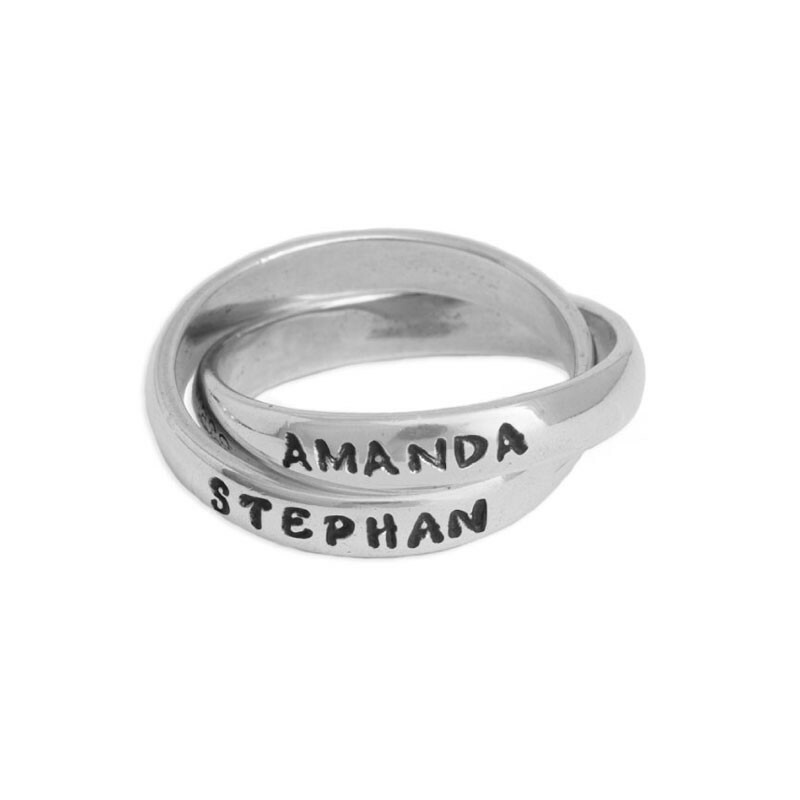 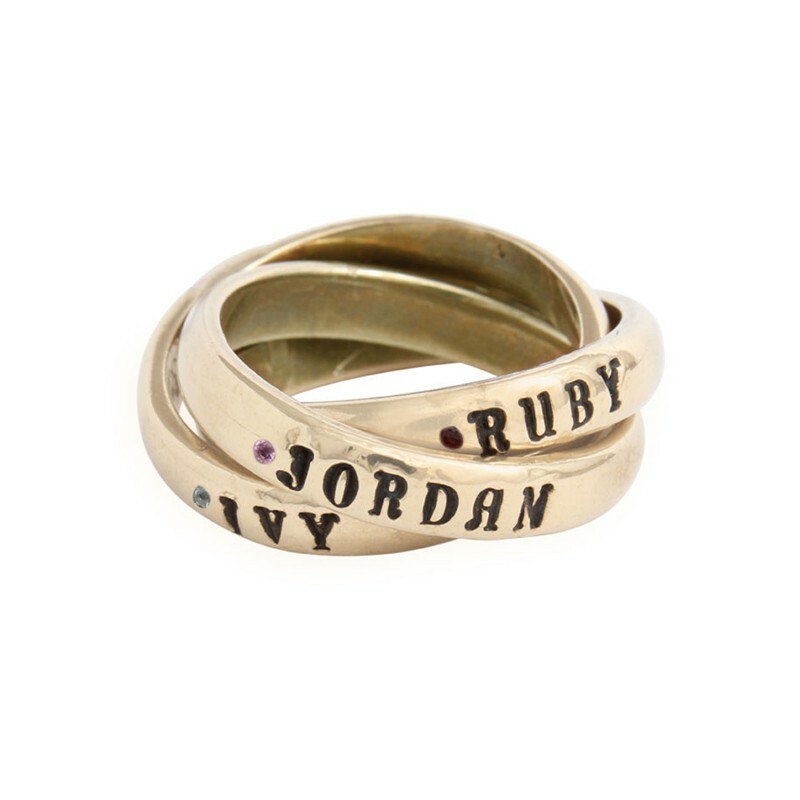 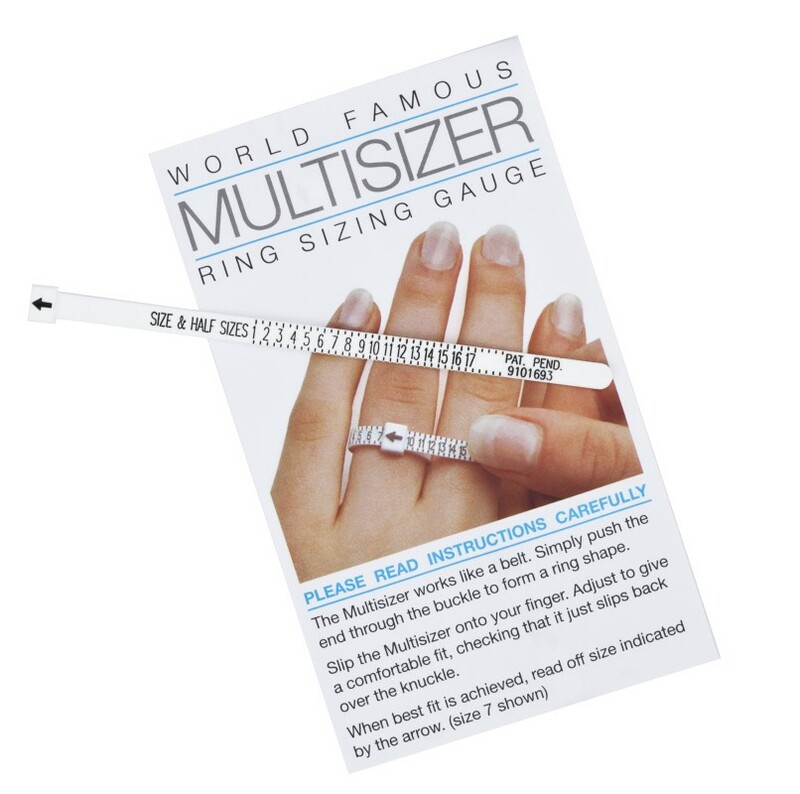 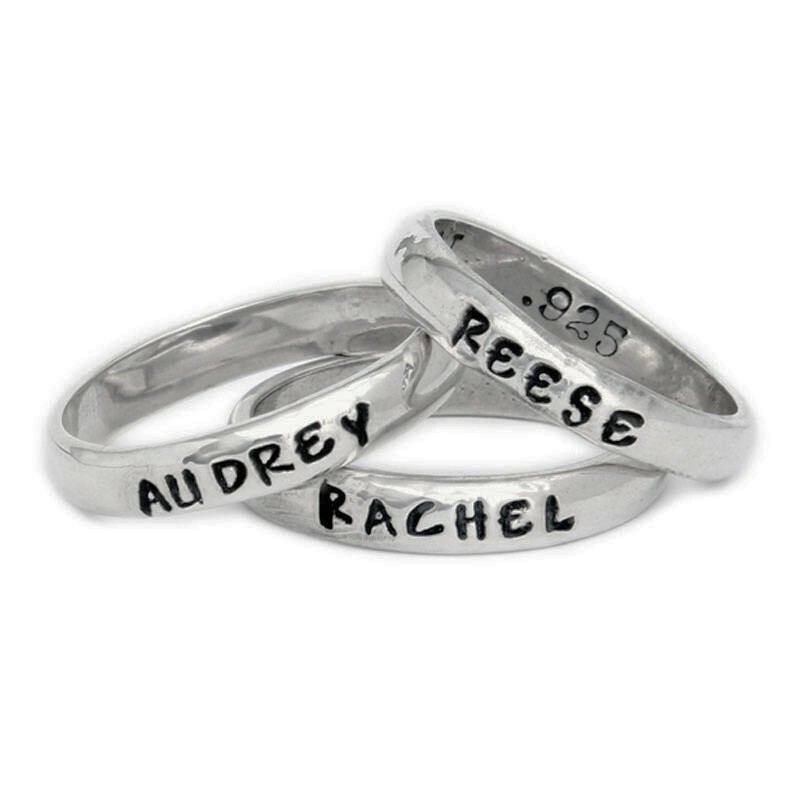 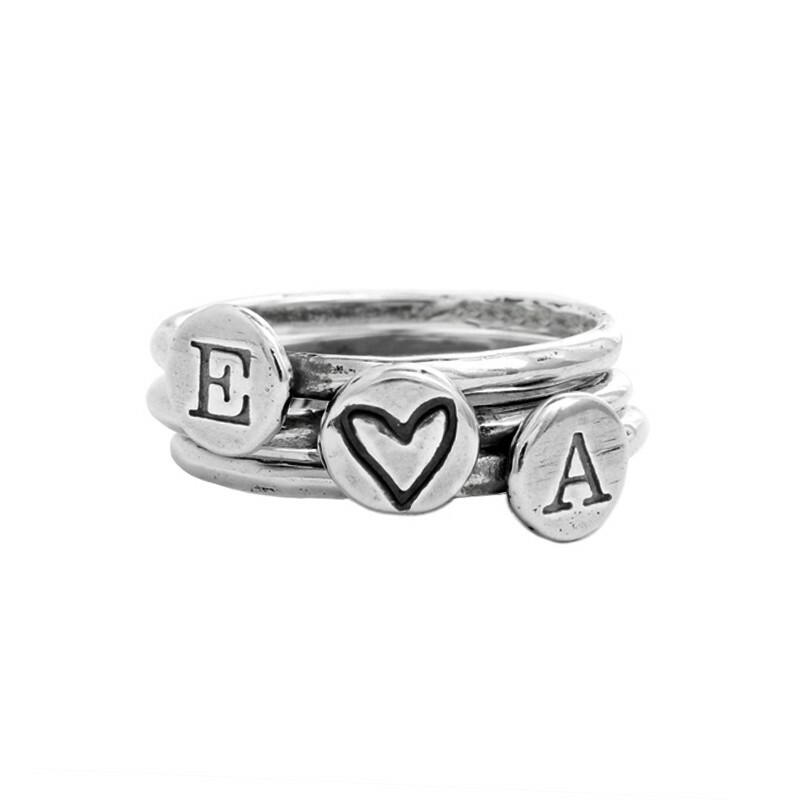 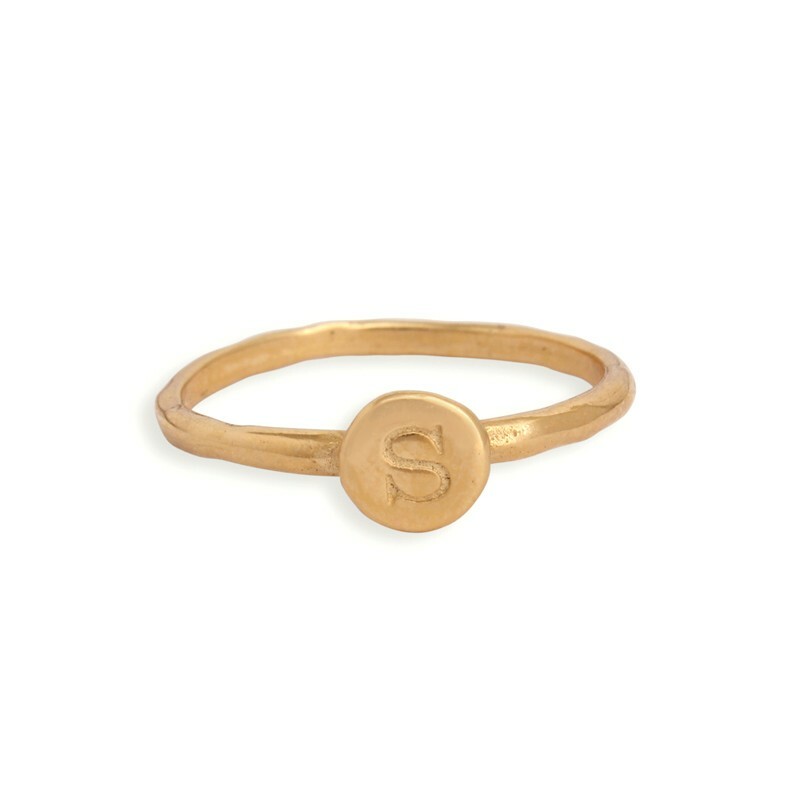 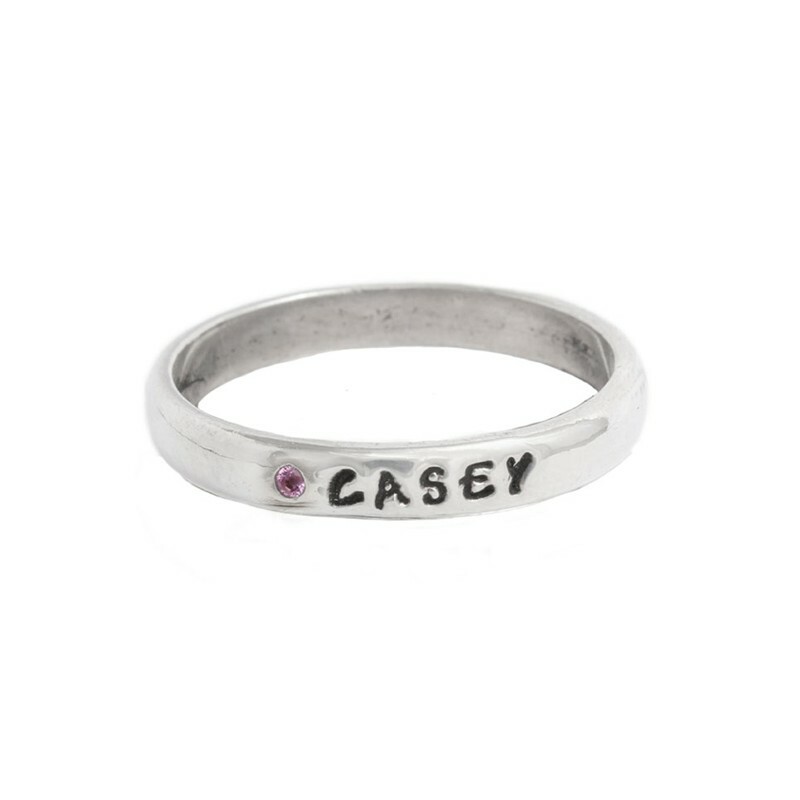 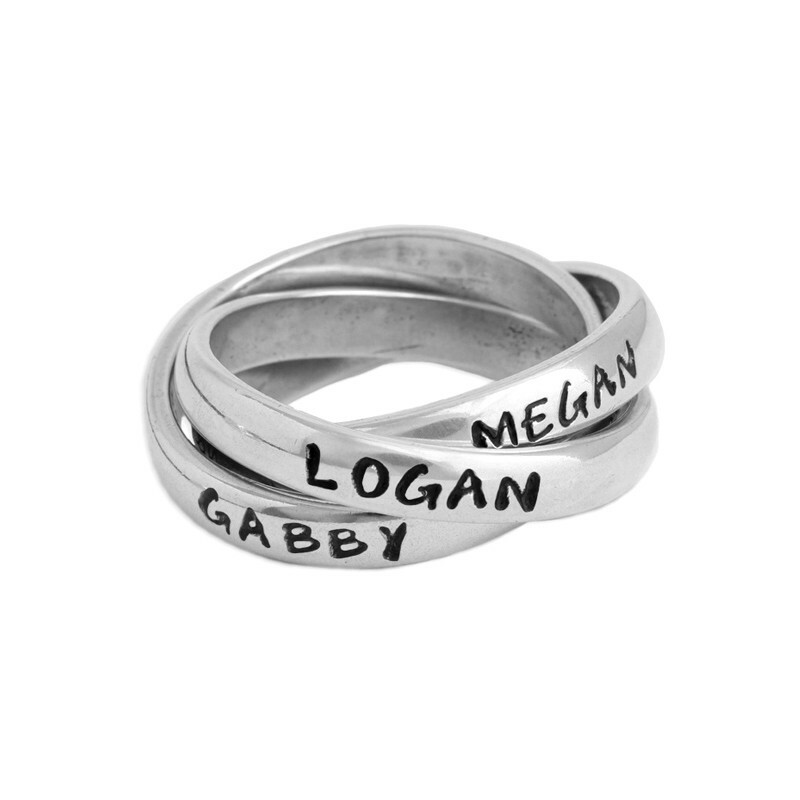 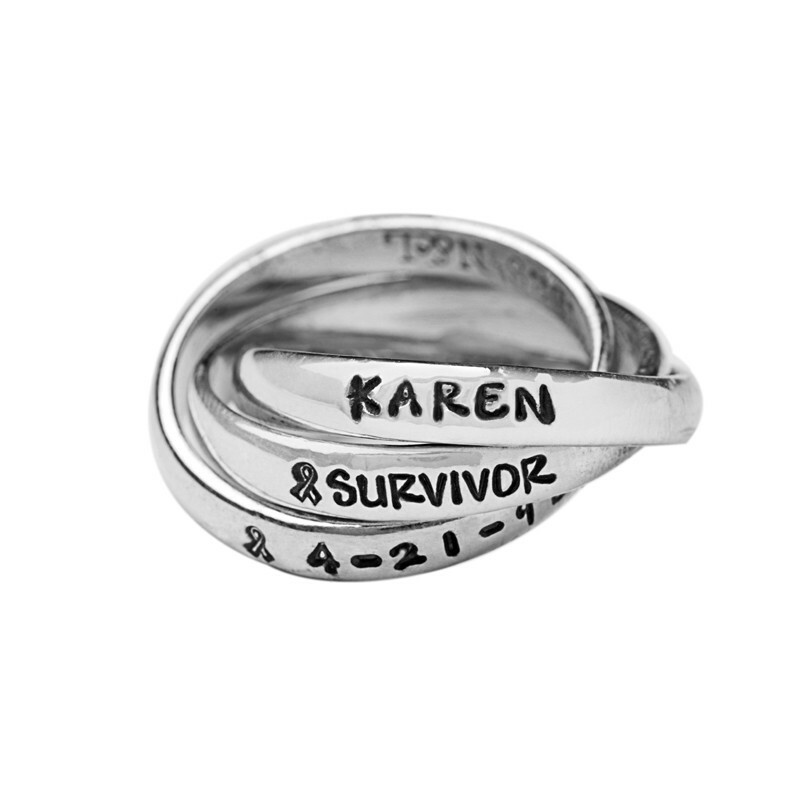 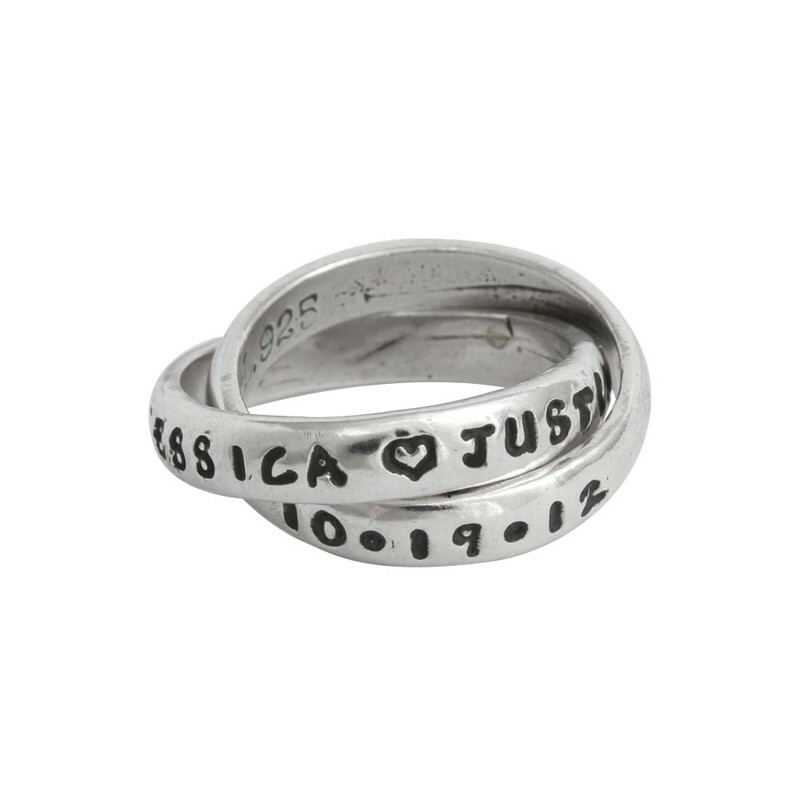 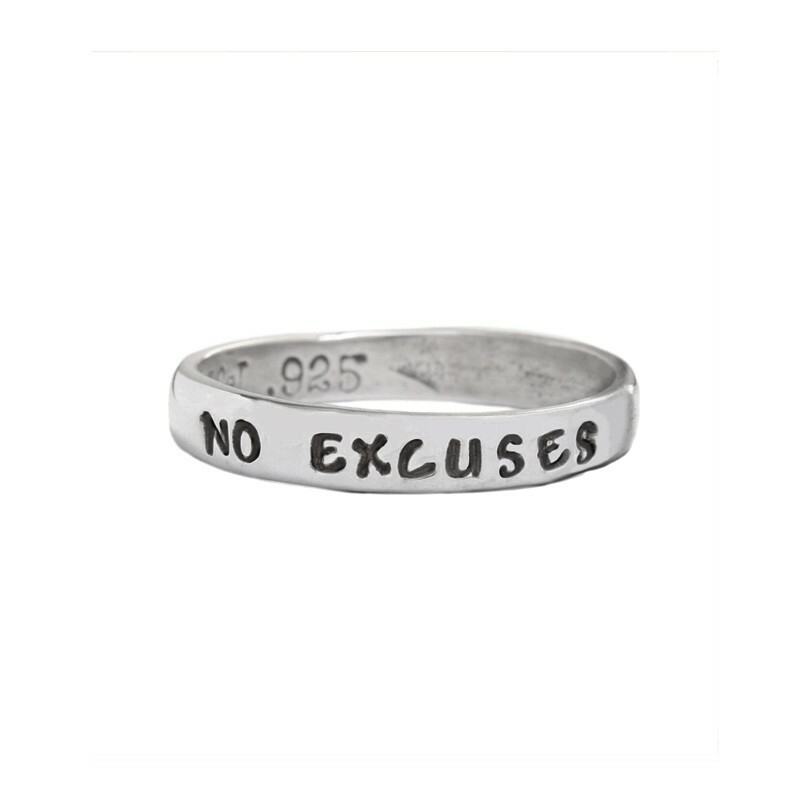 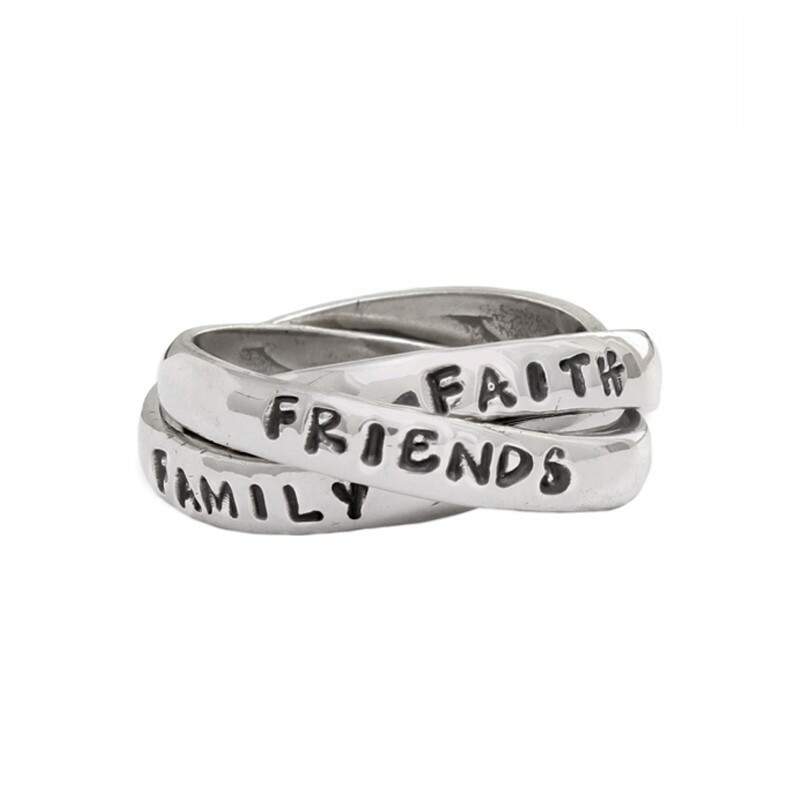 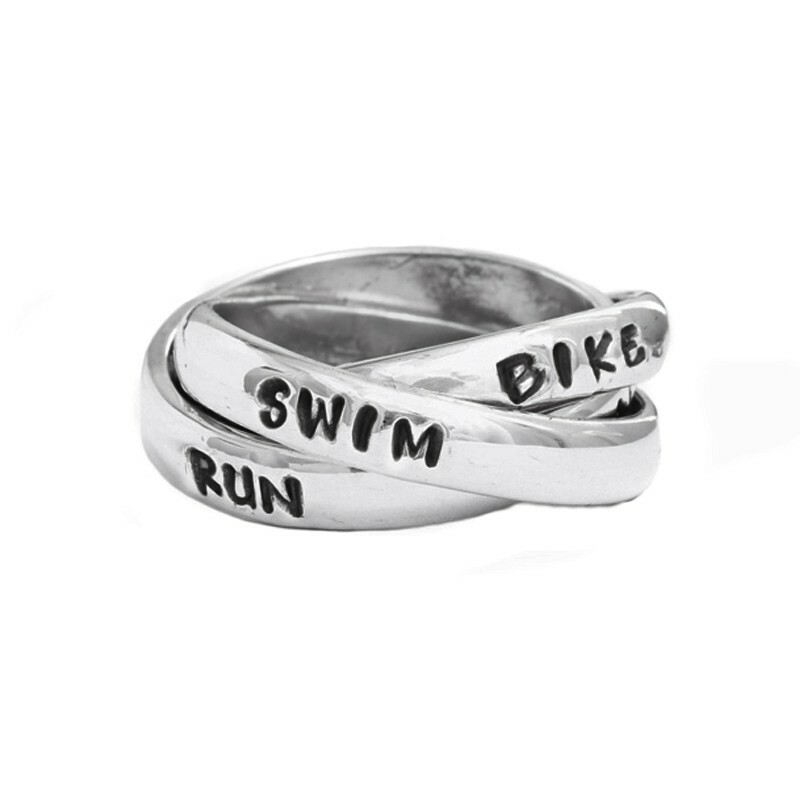 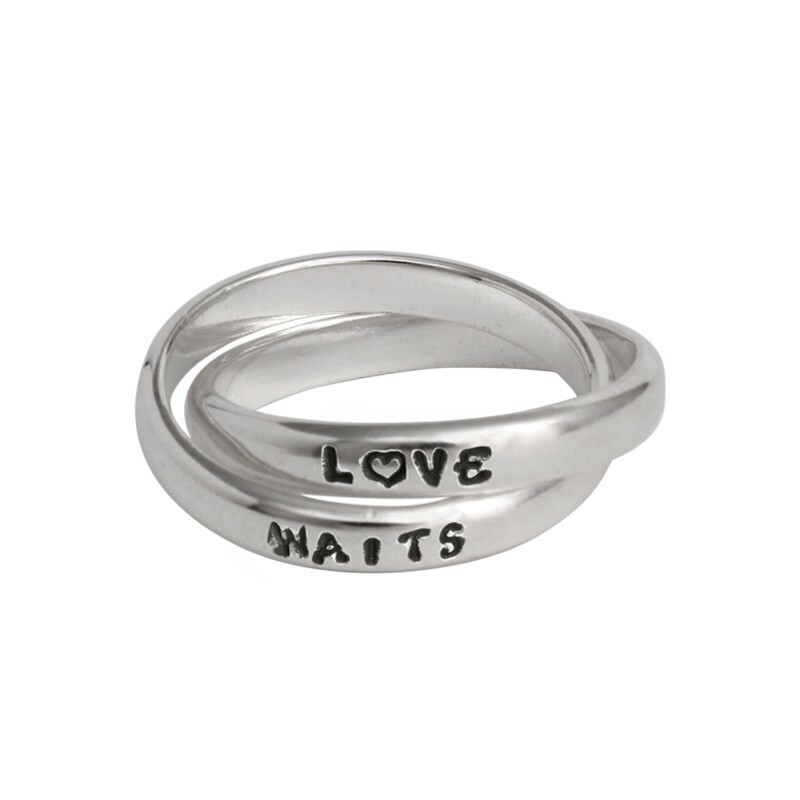 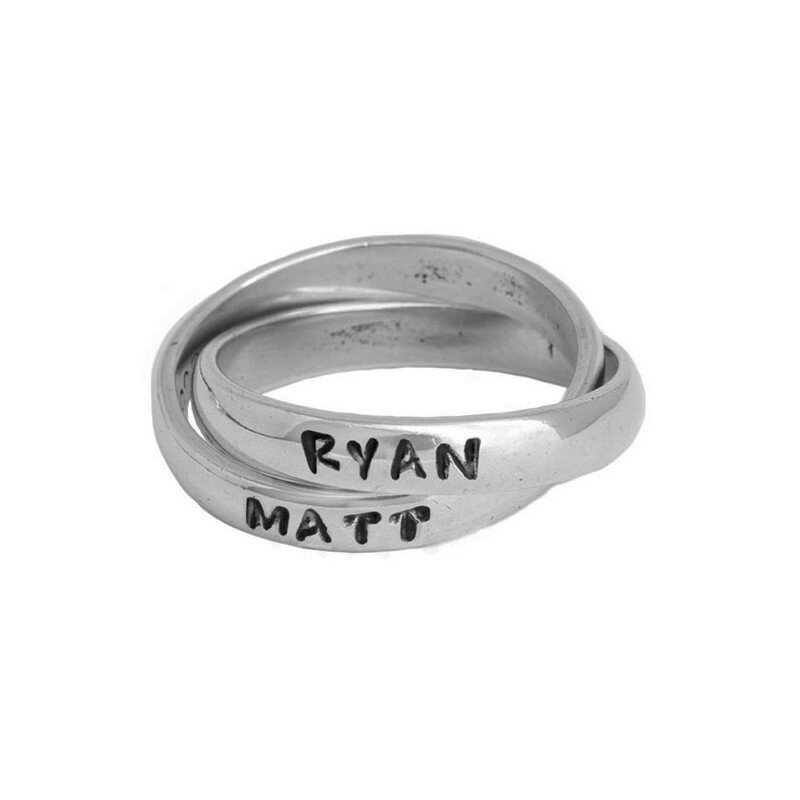 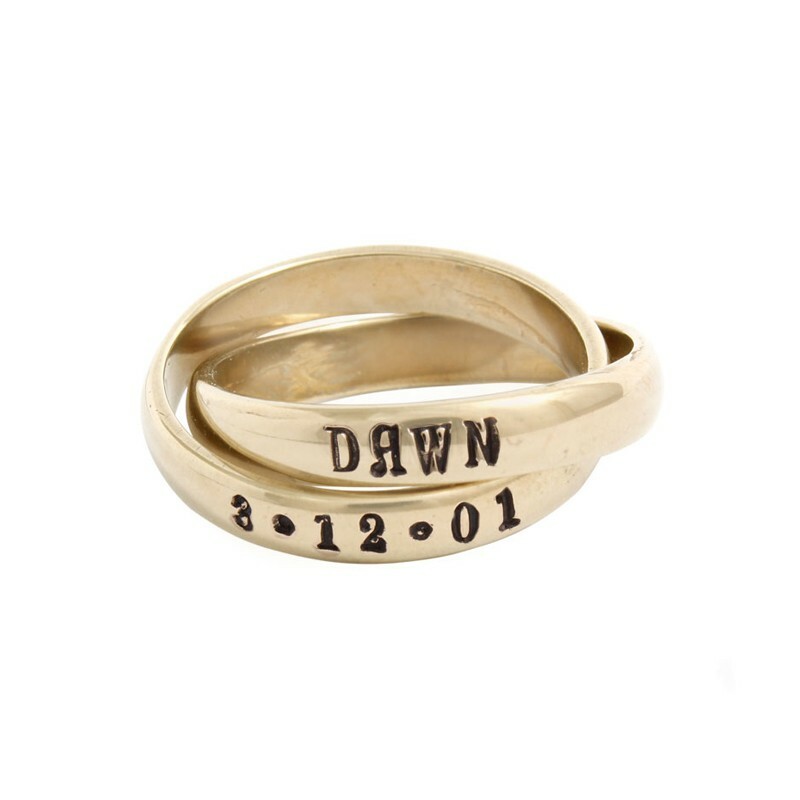 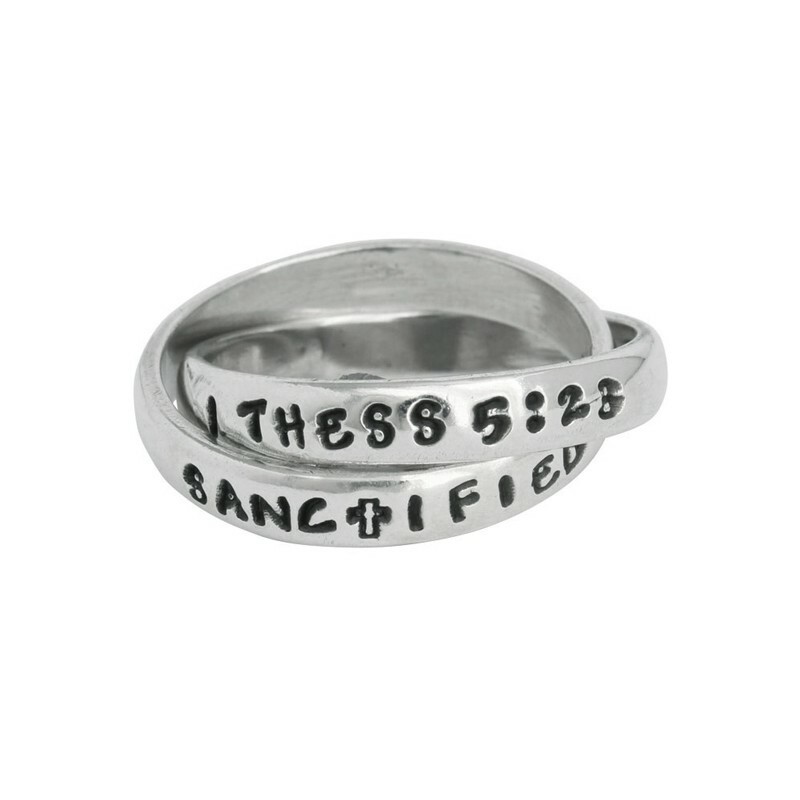 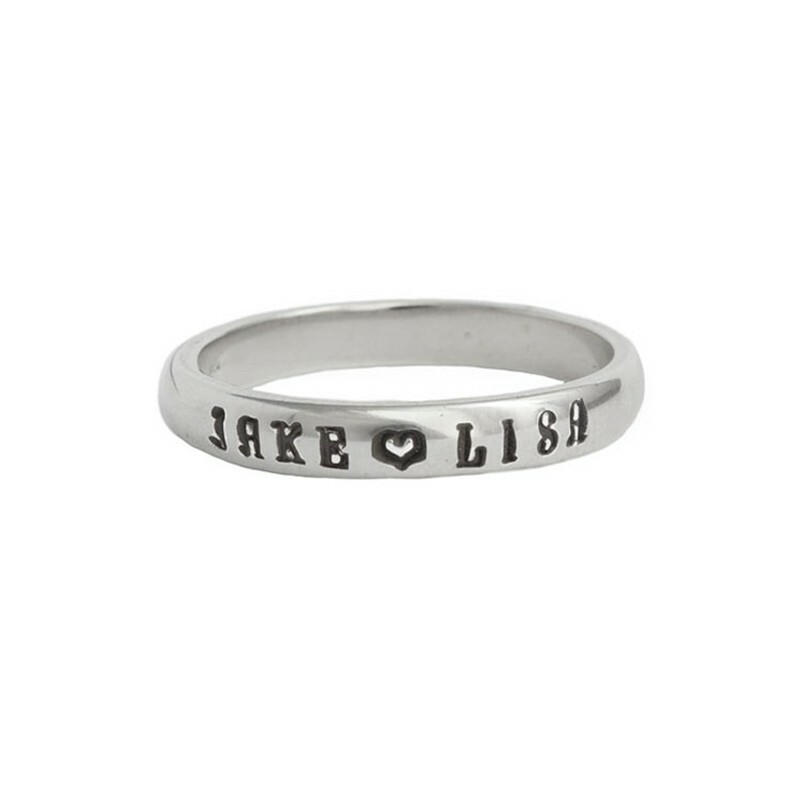 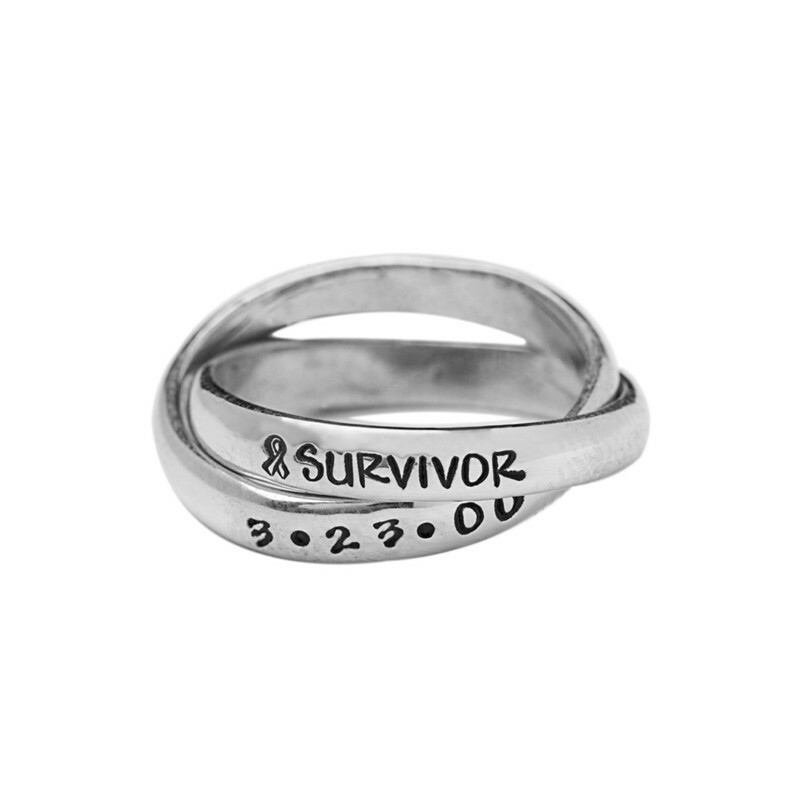 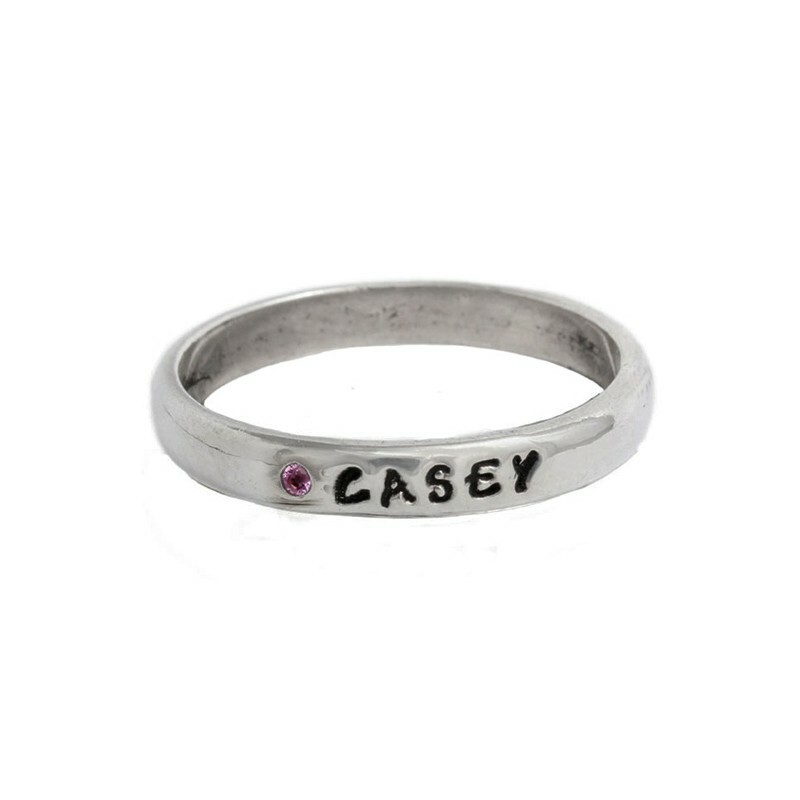 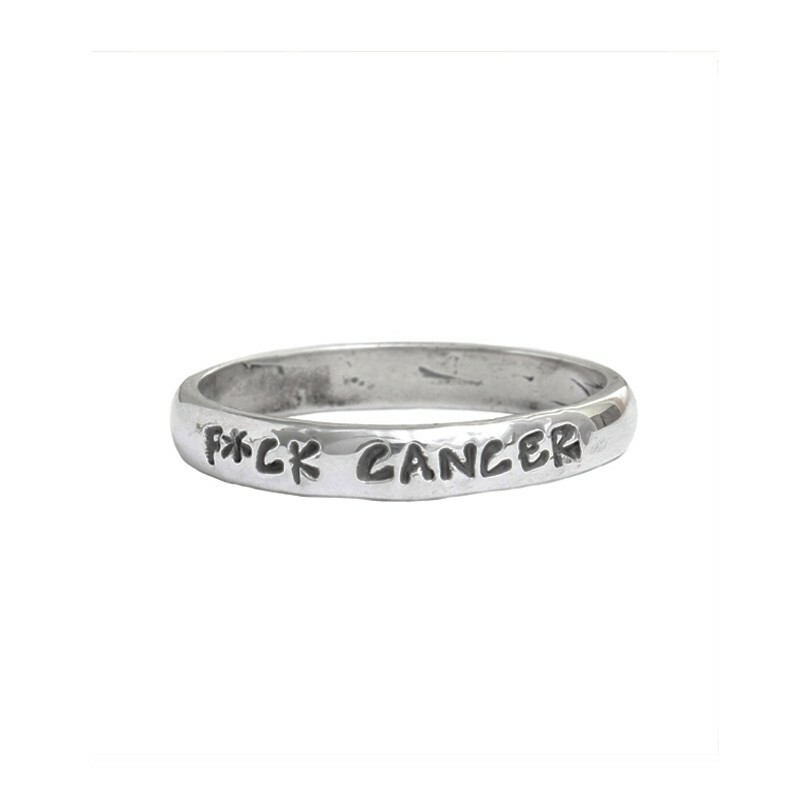 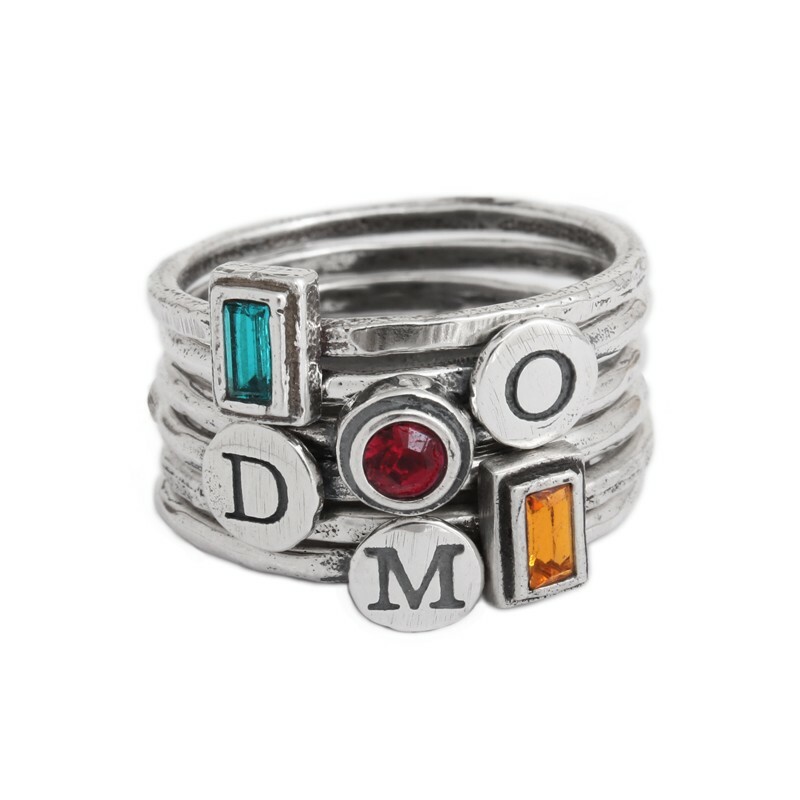 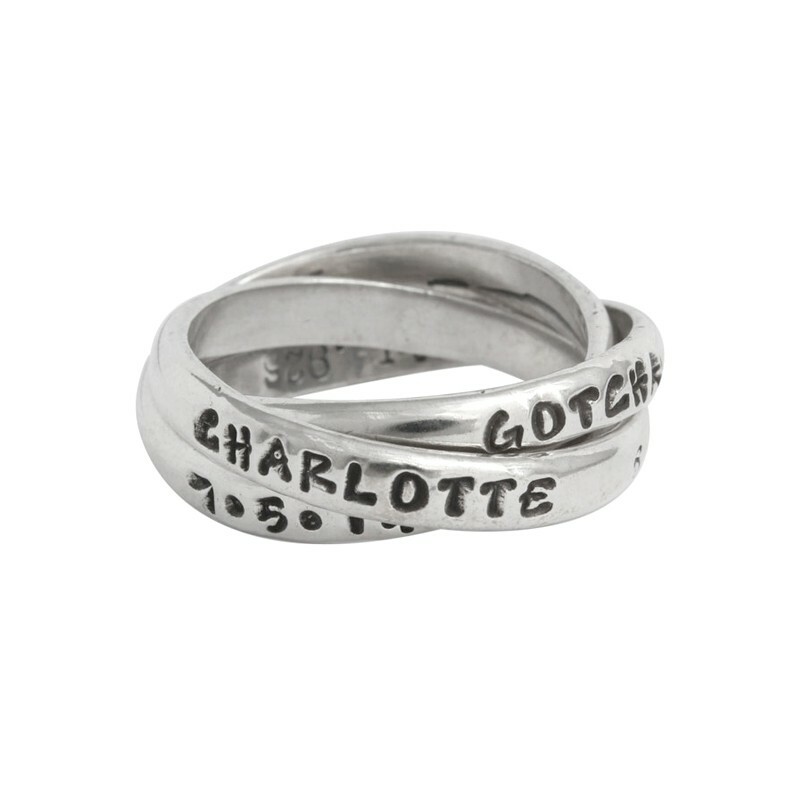 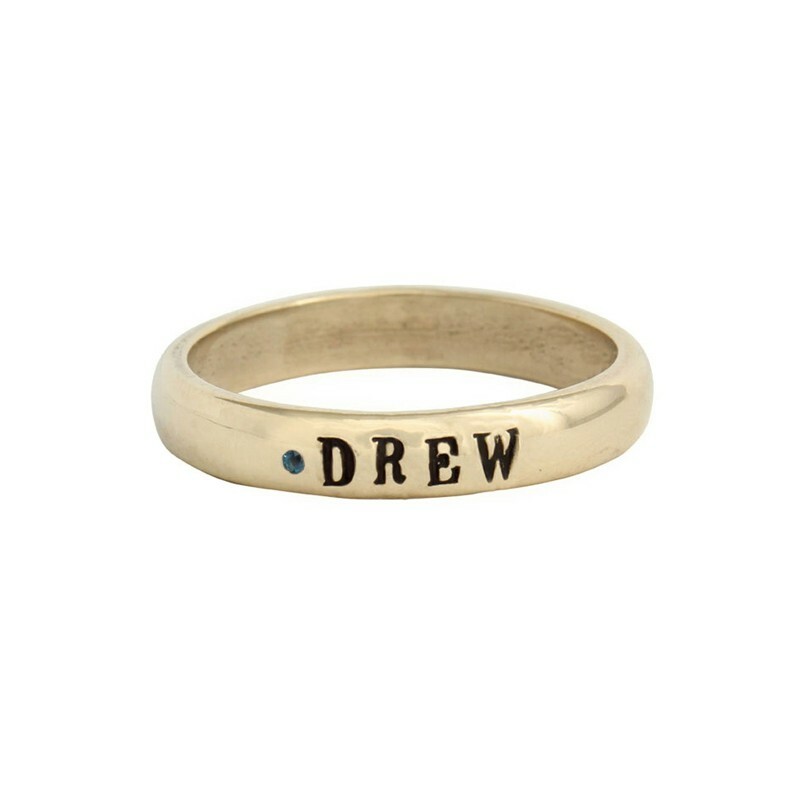 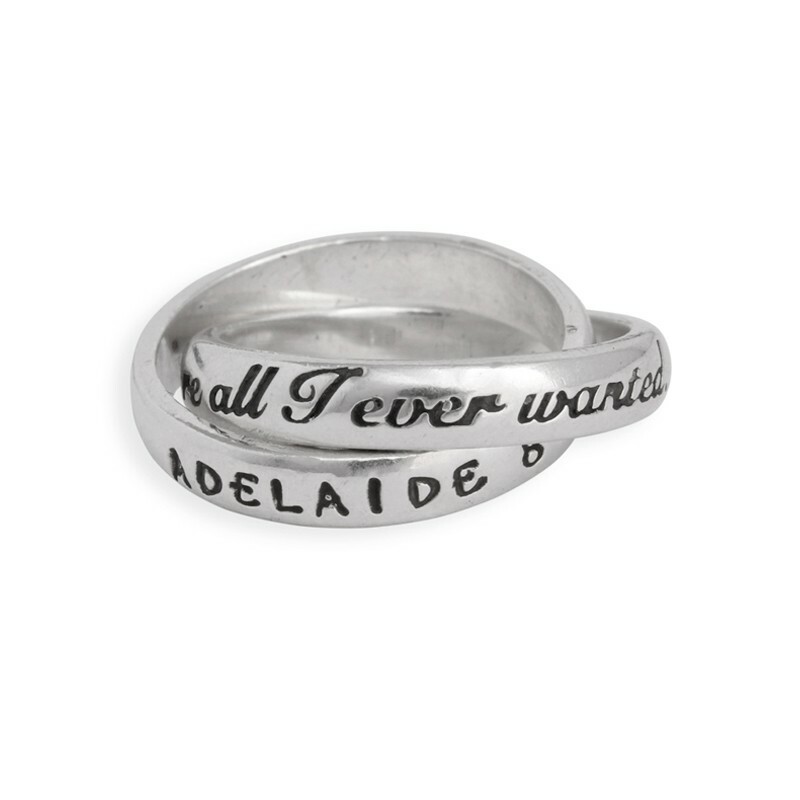 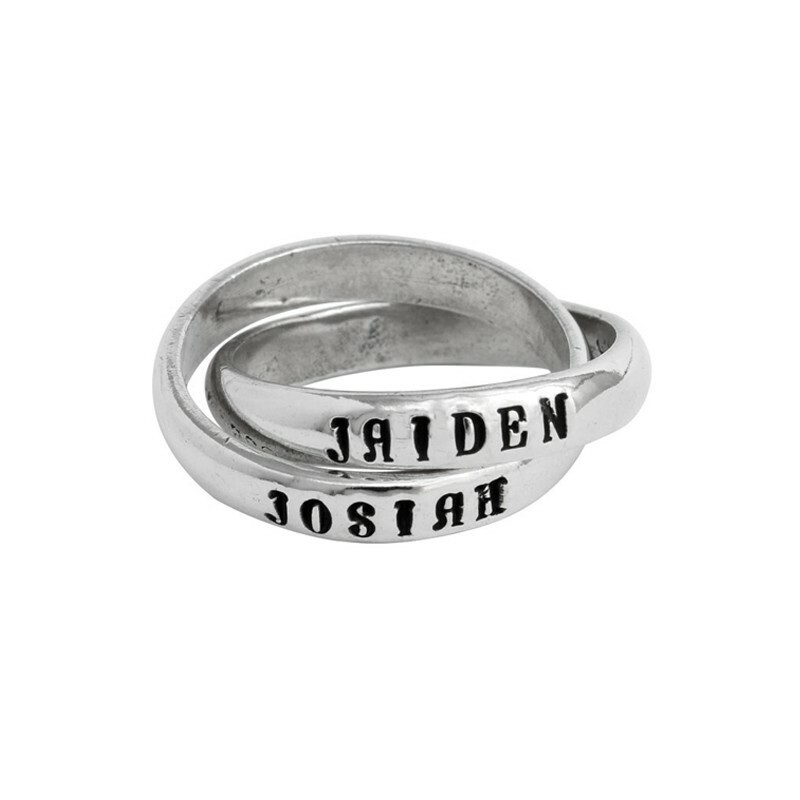 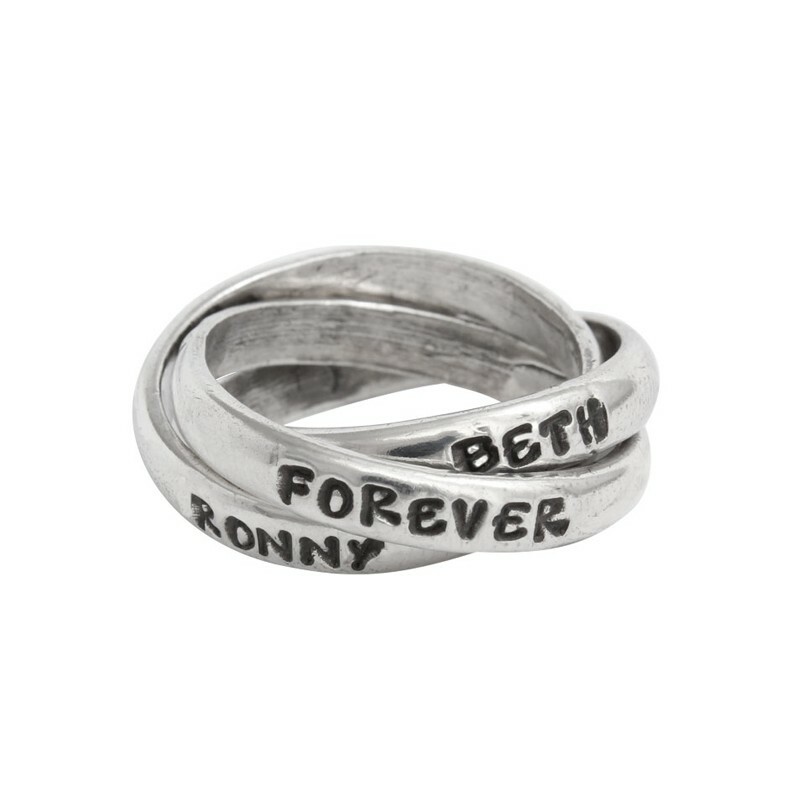 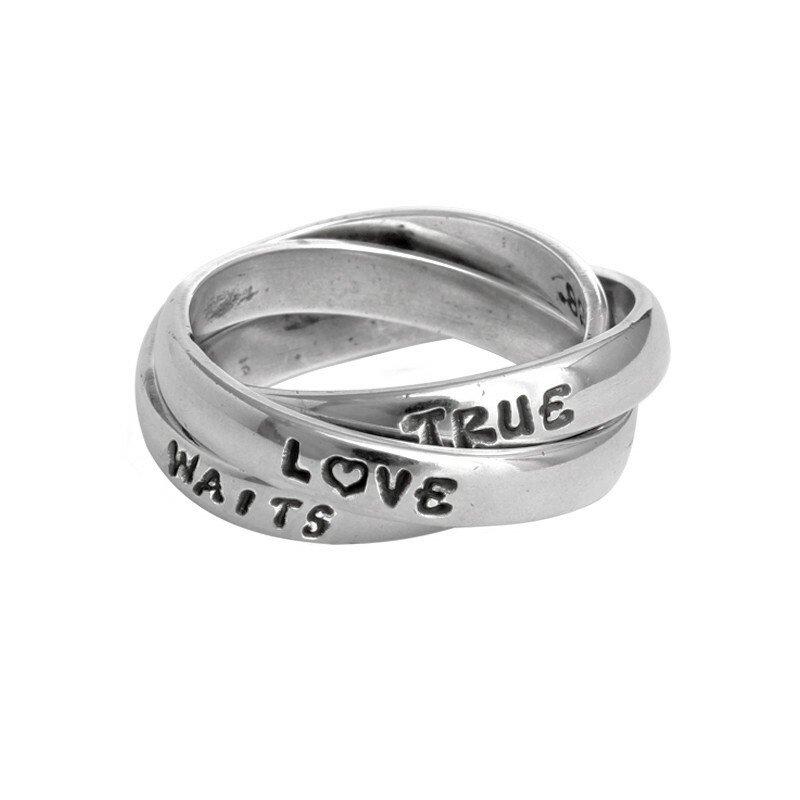 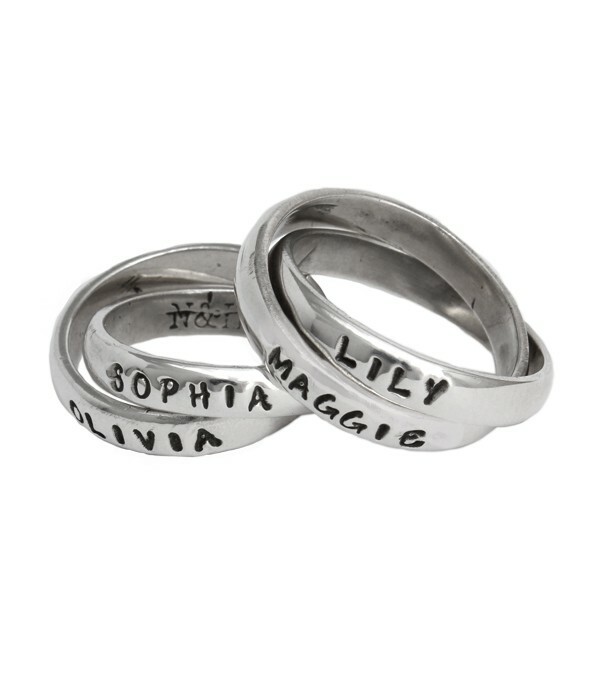 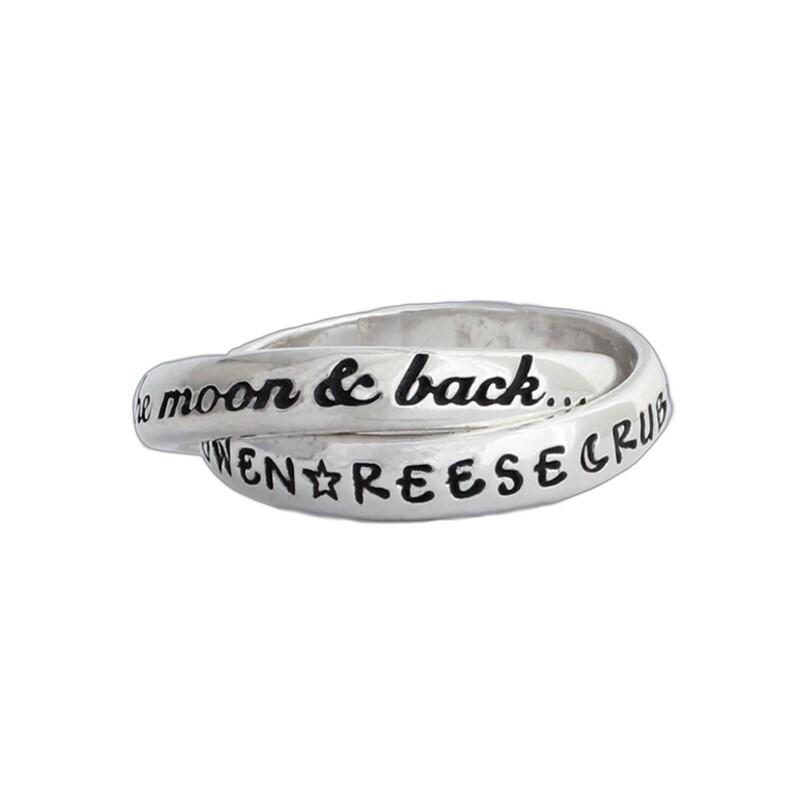 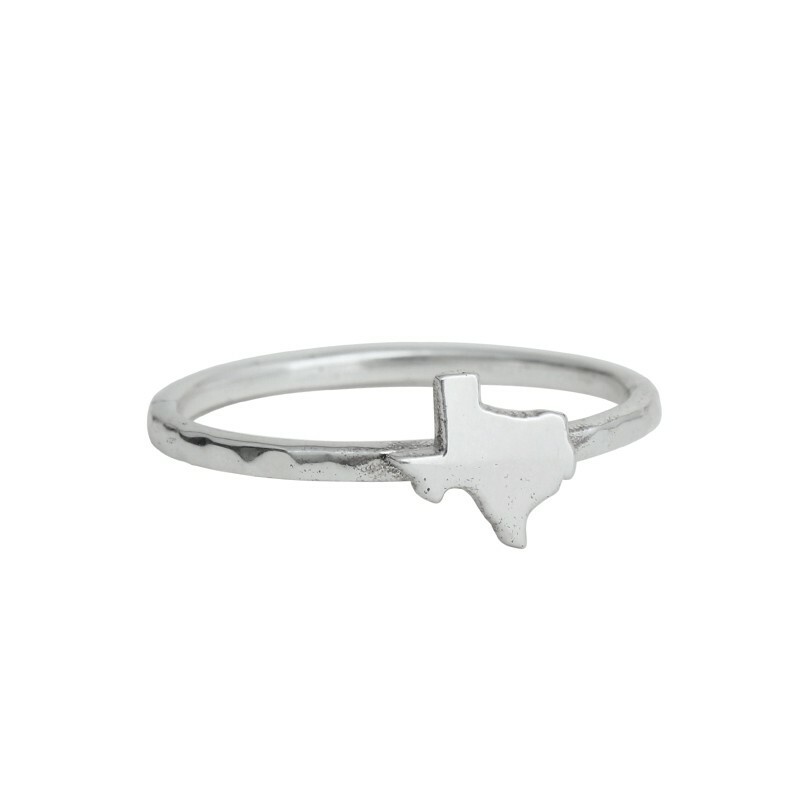 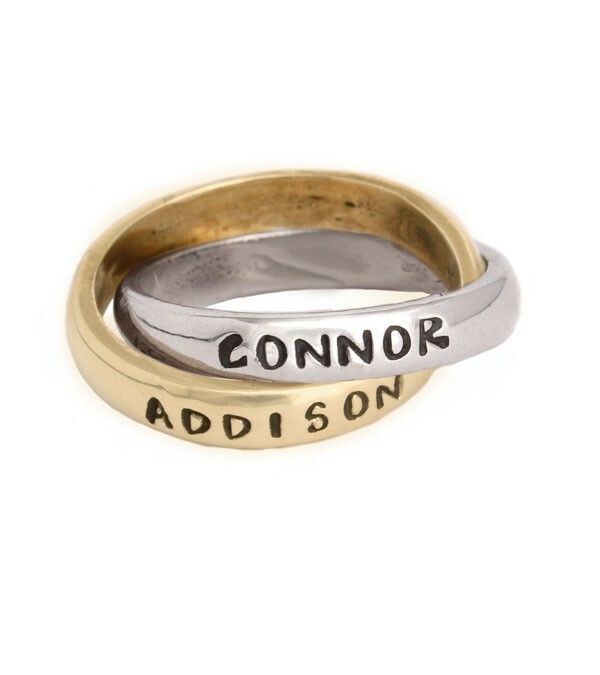 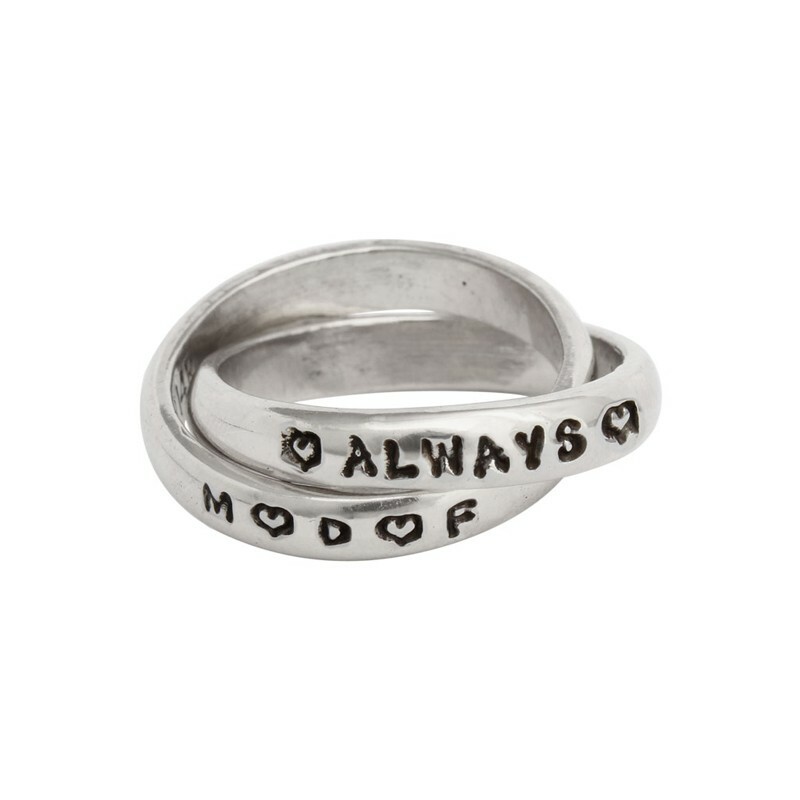 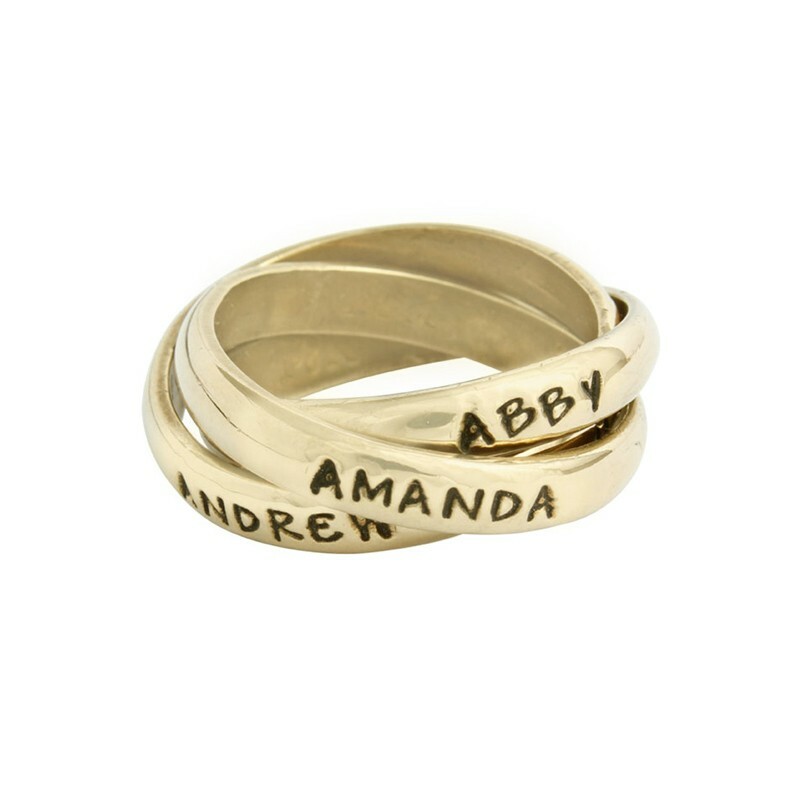 "Custom Rings in Silver, Ring Stamped with Names"